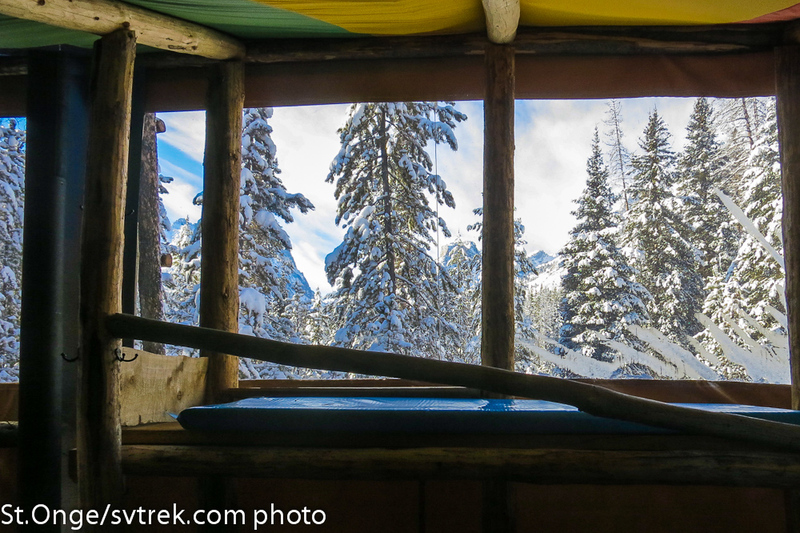 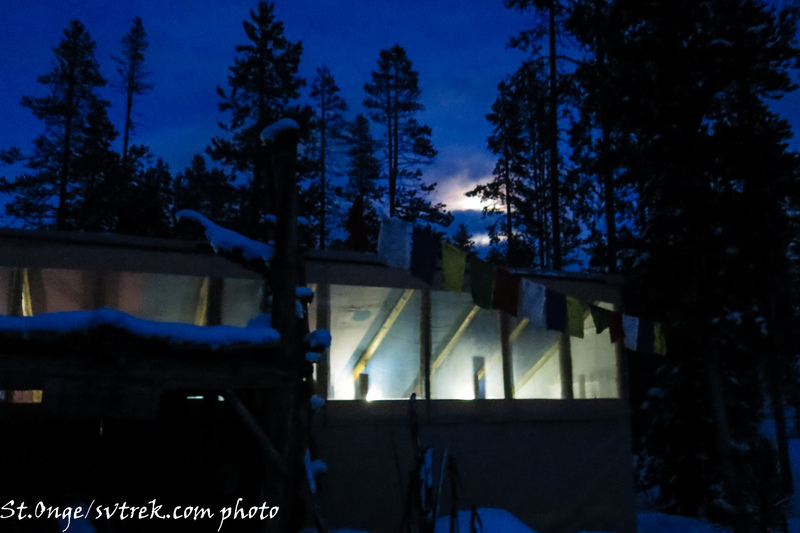 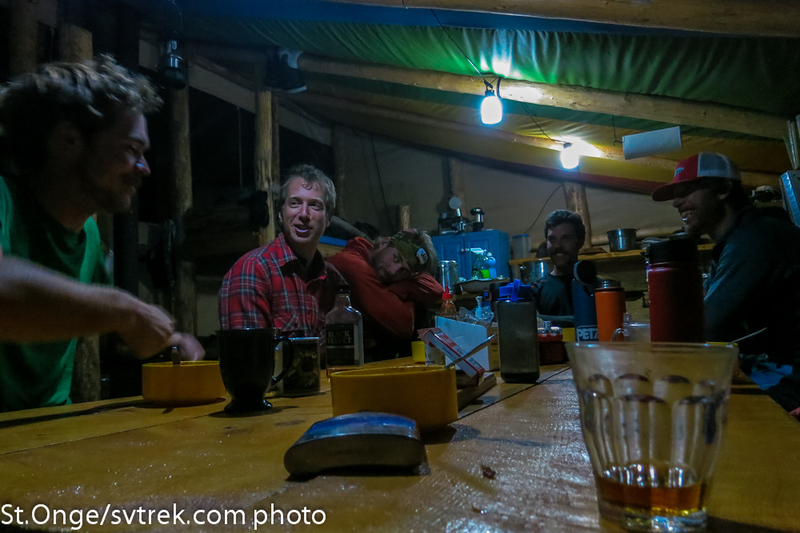 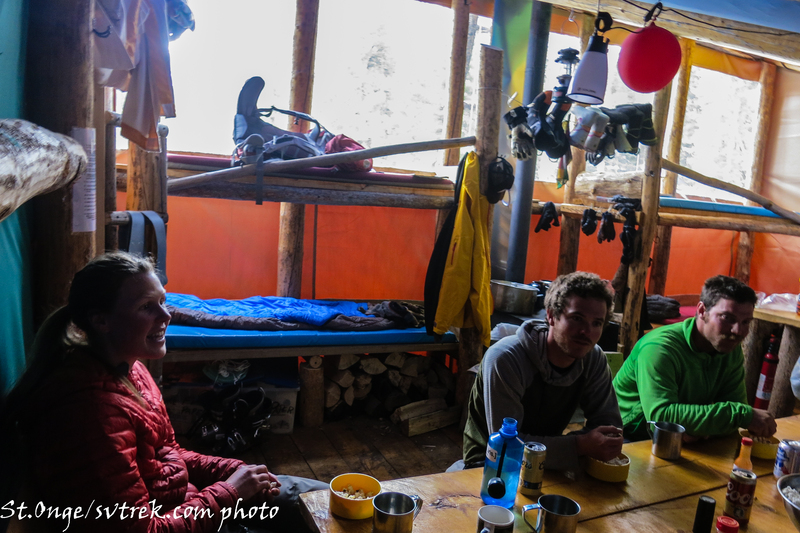 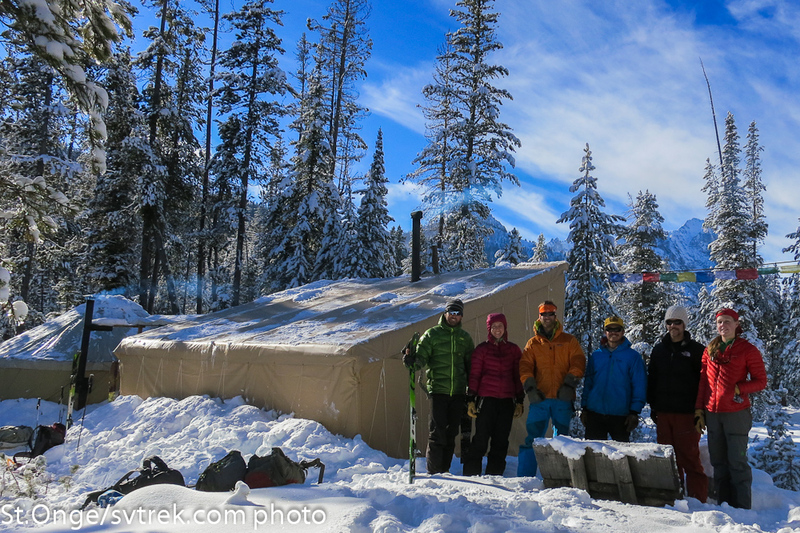 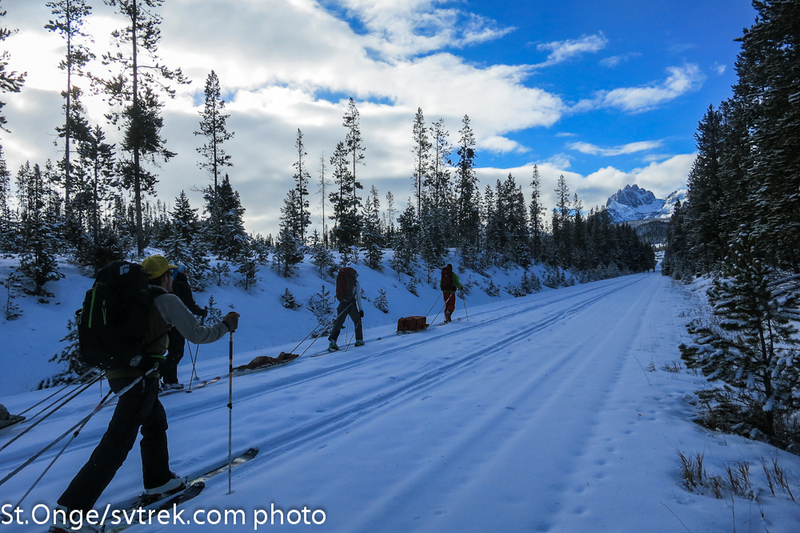 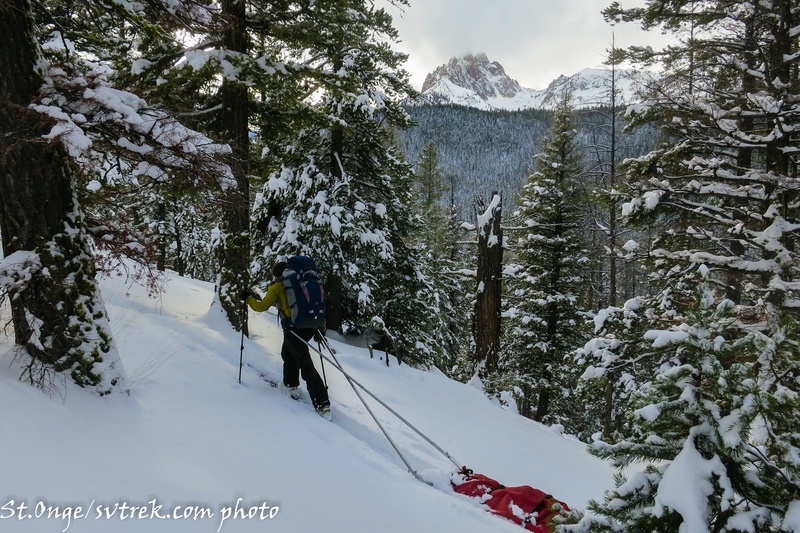 Sawtooth: We began the orientation in the Sawtooth where we skied from the Fishhook Yurt to the Bench Hut. 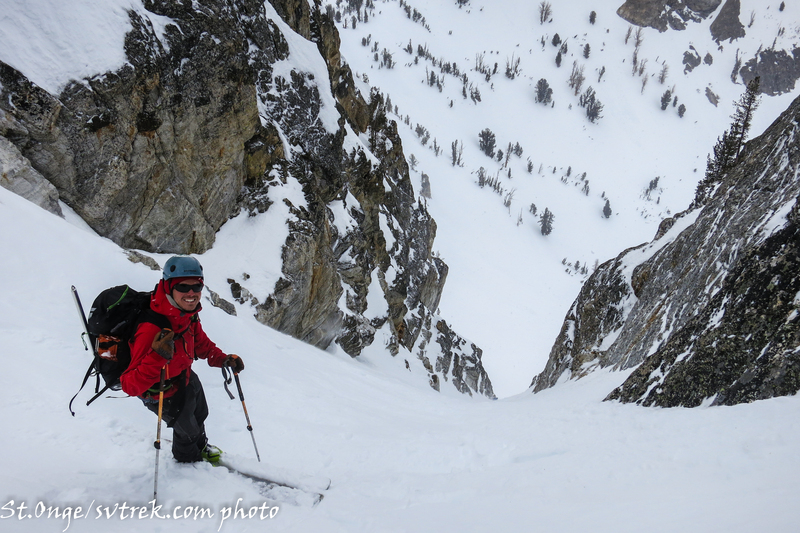 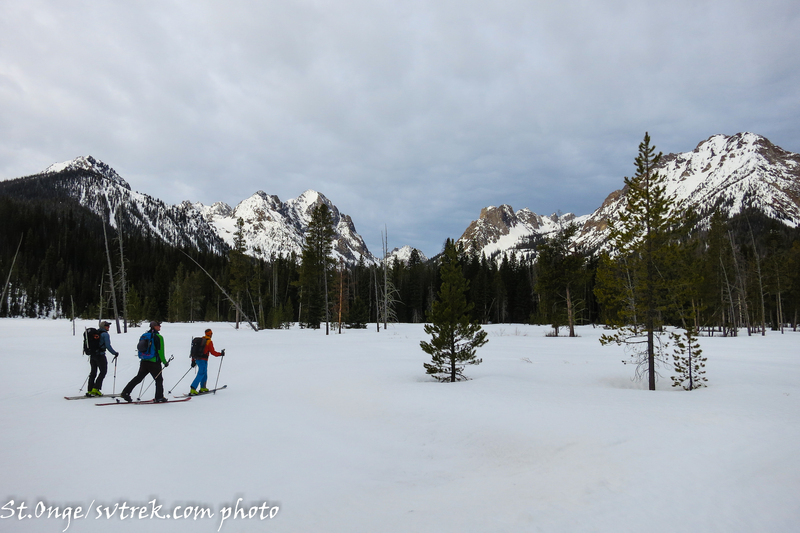 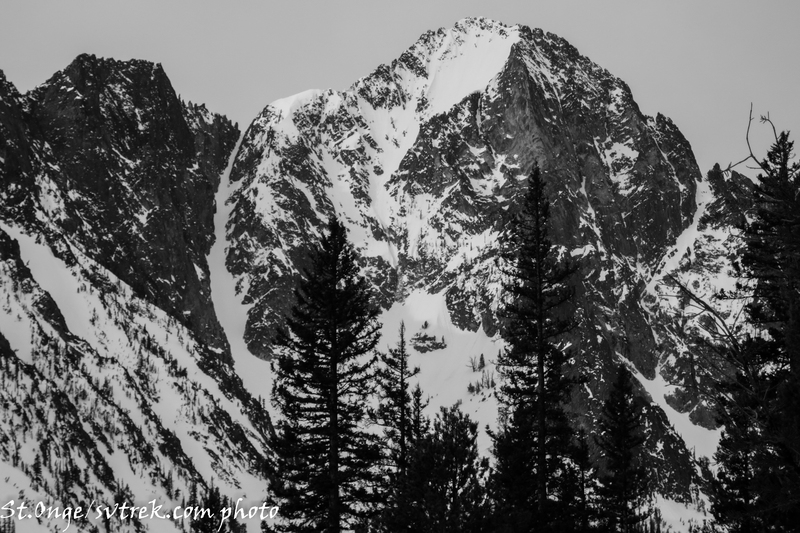 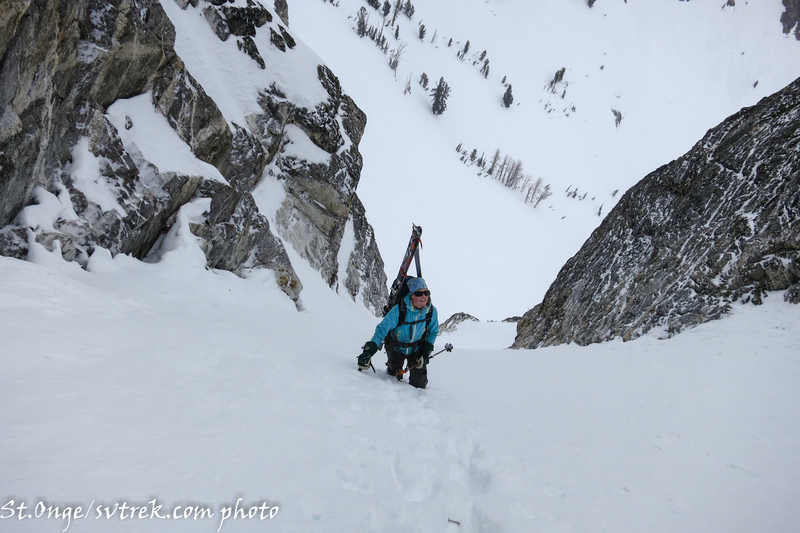 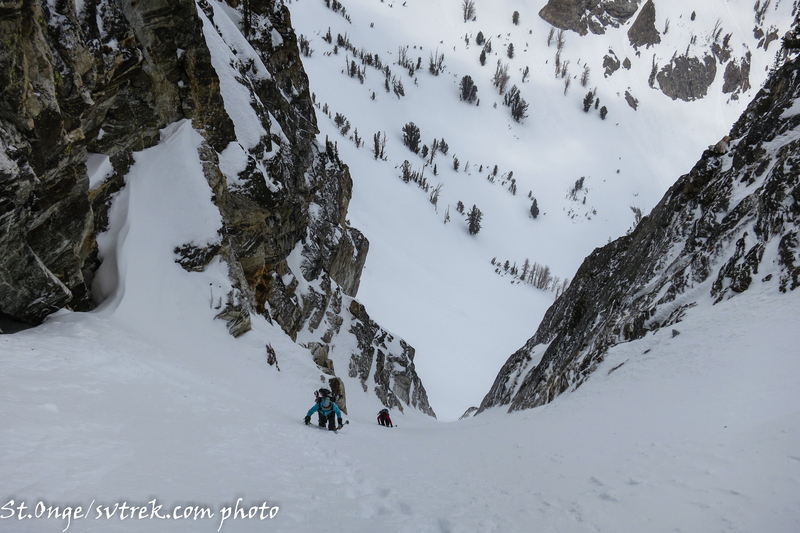 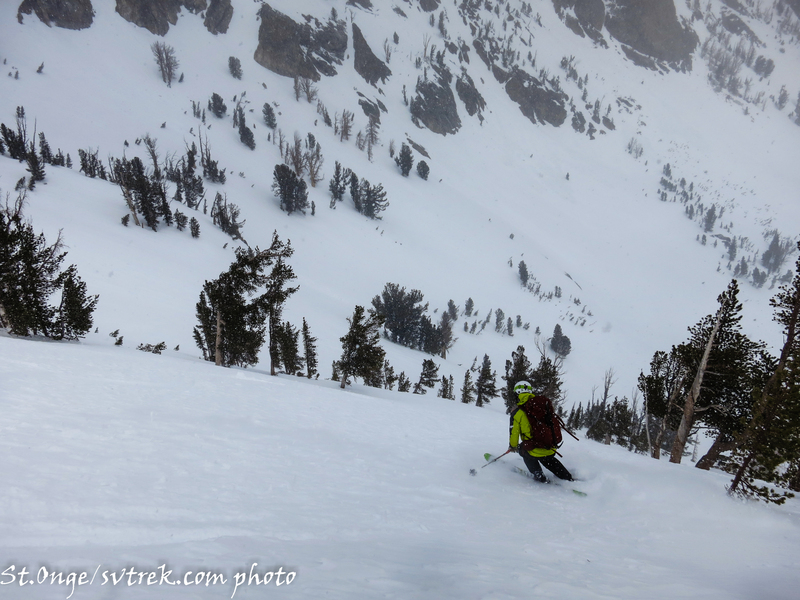 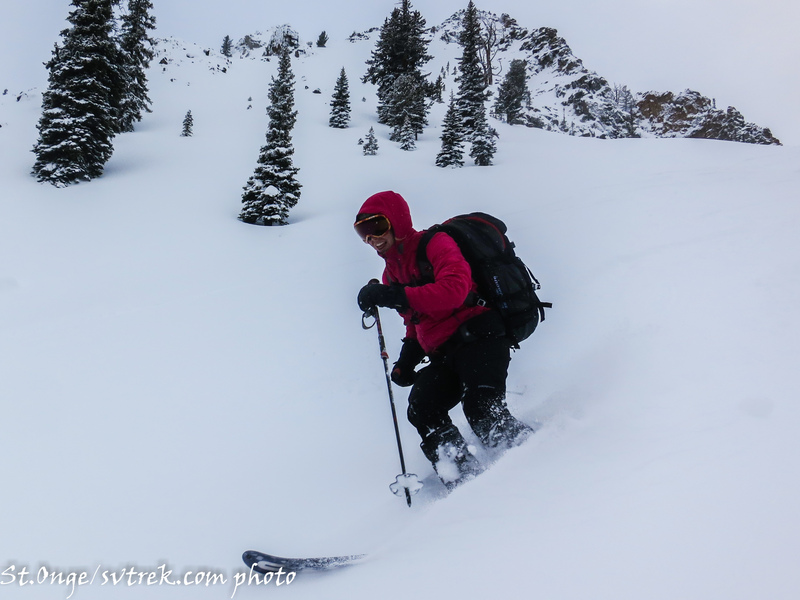 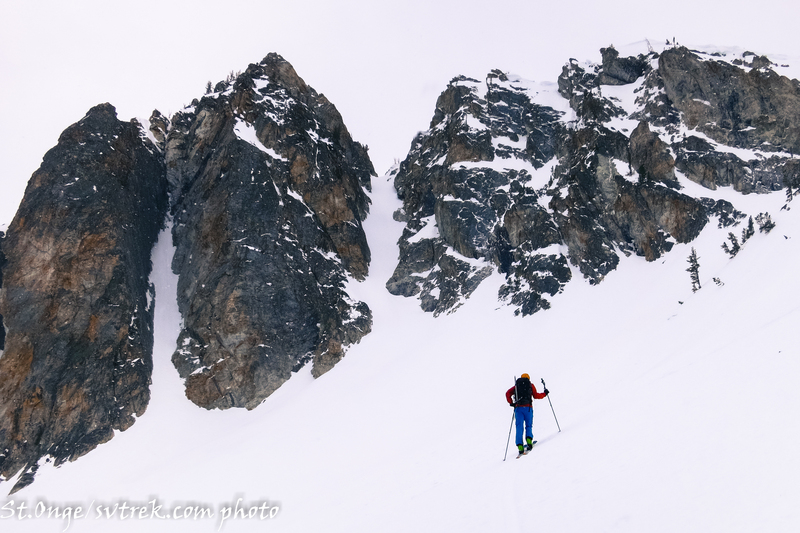 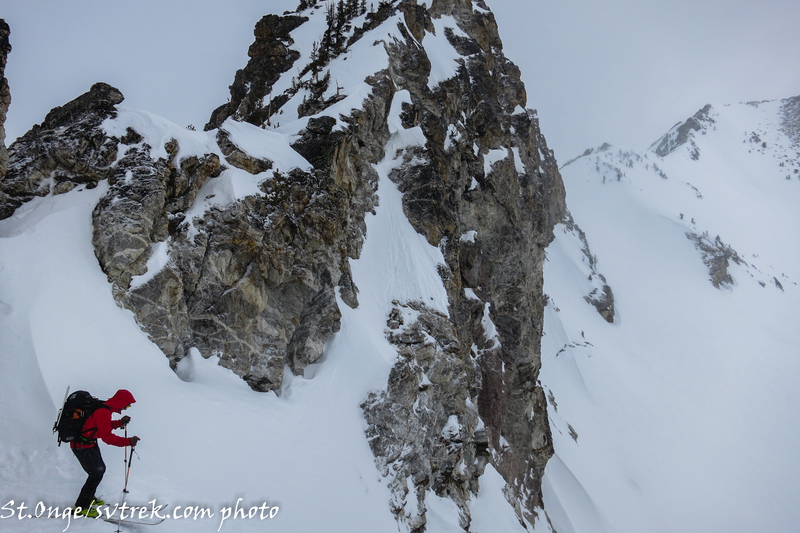 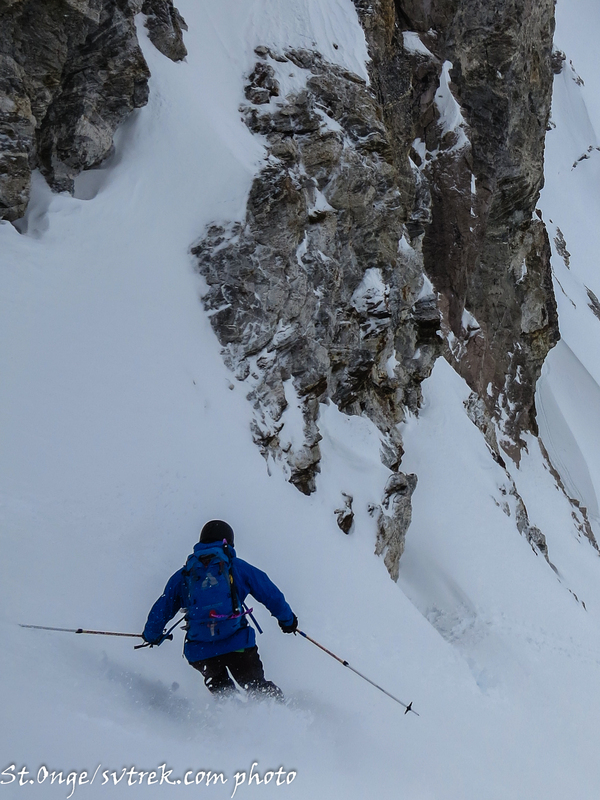 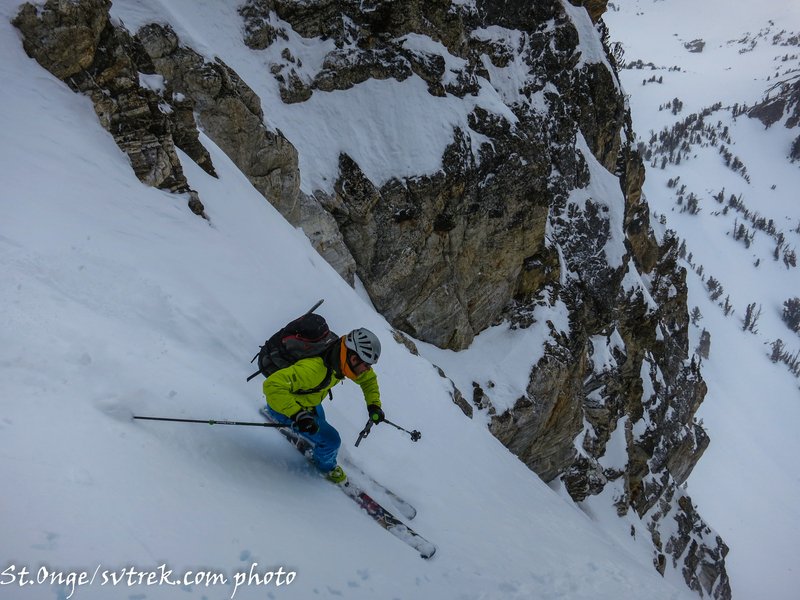 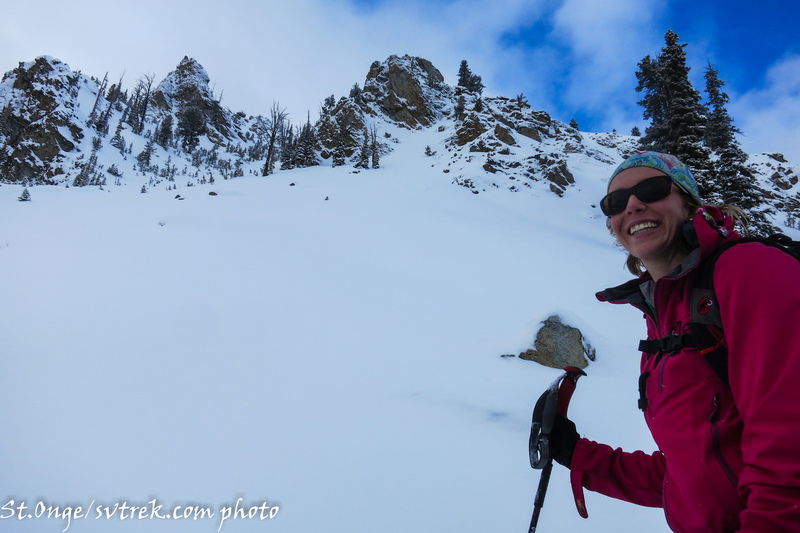 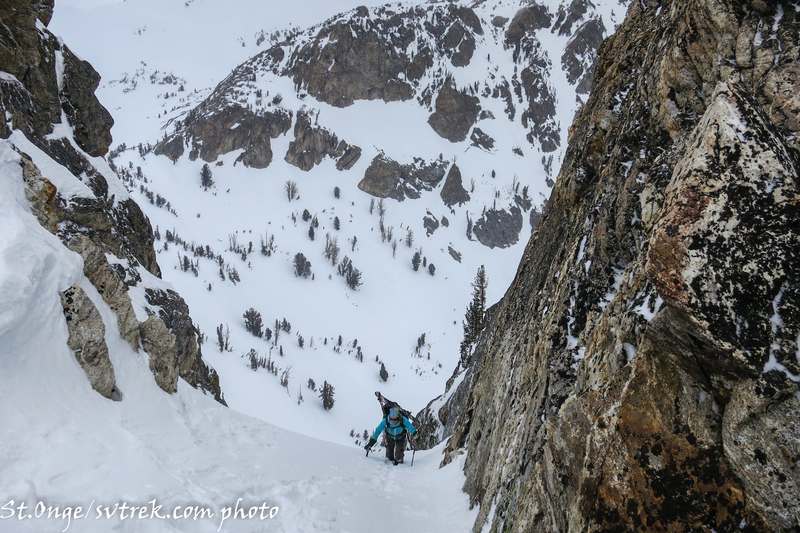 The approach to both Fishhook and Bench are characterized by relatively thin but very supportive snow pack in the lower elevations allowing for fairly easy skinning. 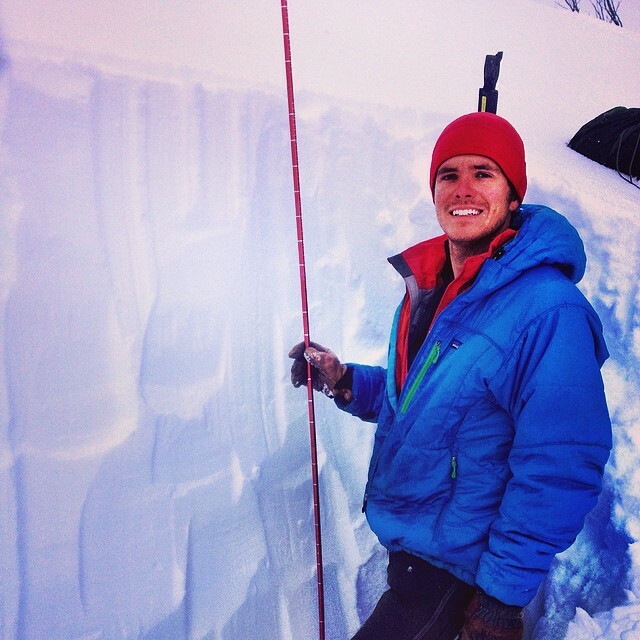 At Bench Hut, we were seeing 95cm snow pack that rapidly deepened to 140cm in the Bench Lakes Basin above. 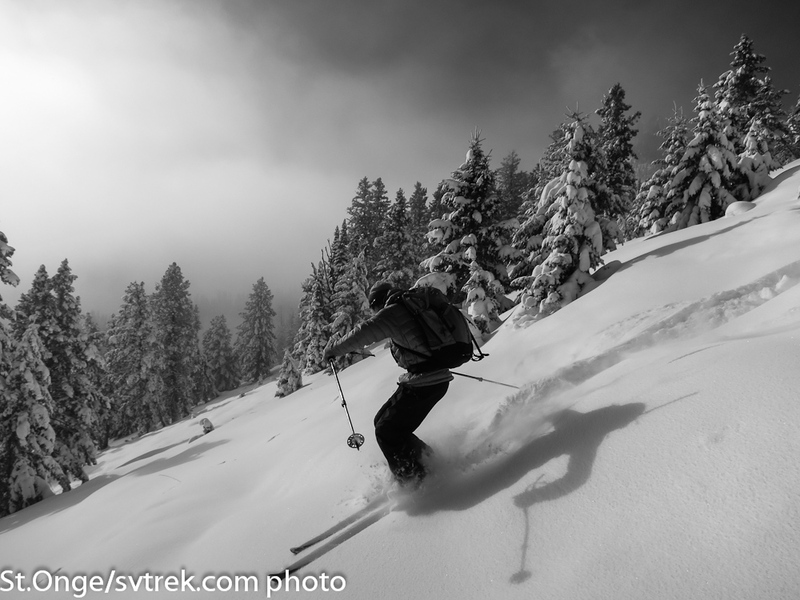 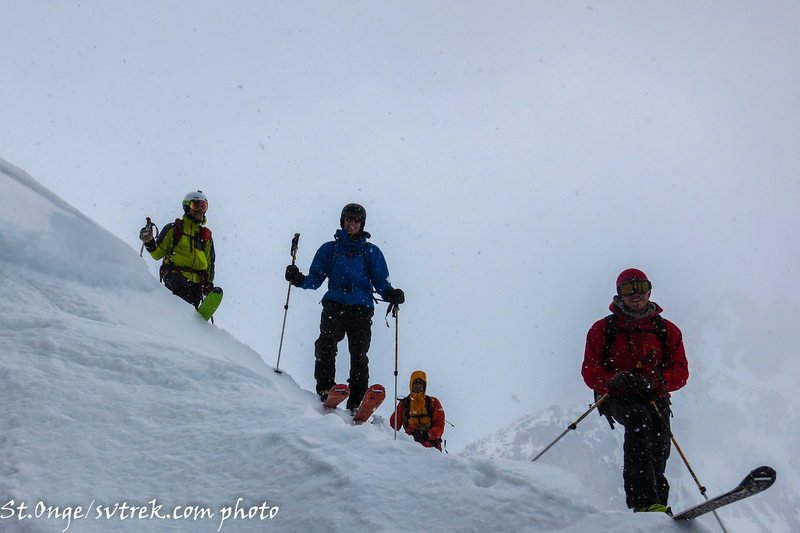 While we were there 30cm of snow fell and we found excellent powder skiing and good stability. 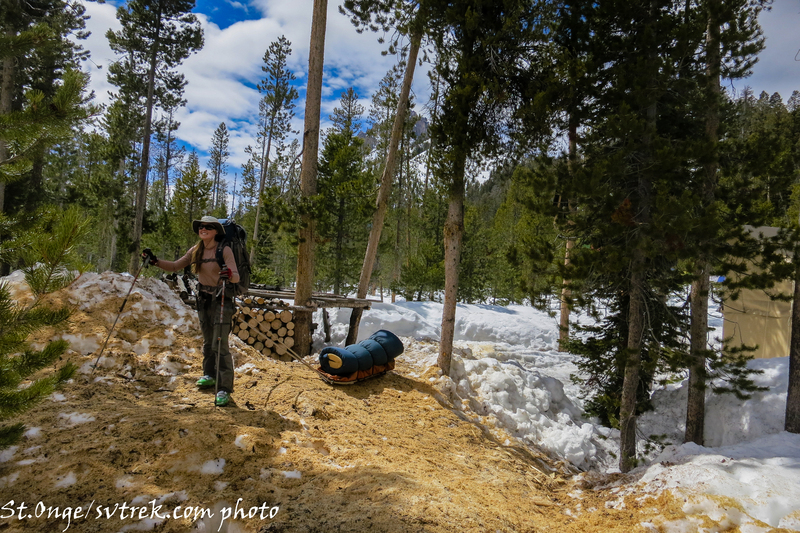 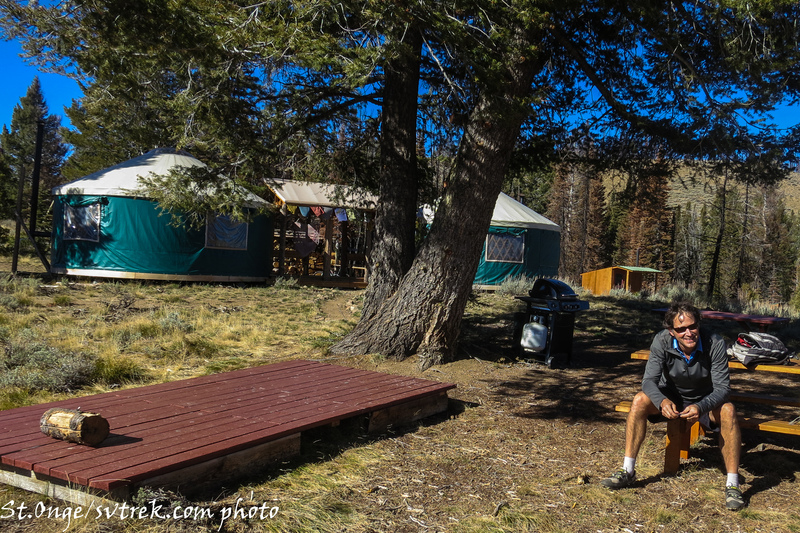 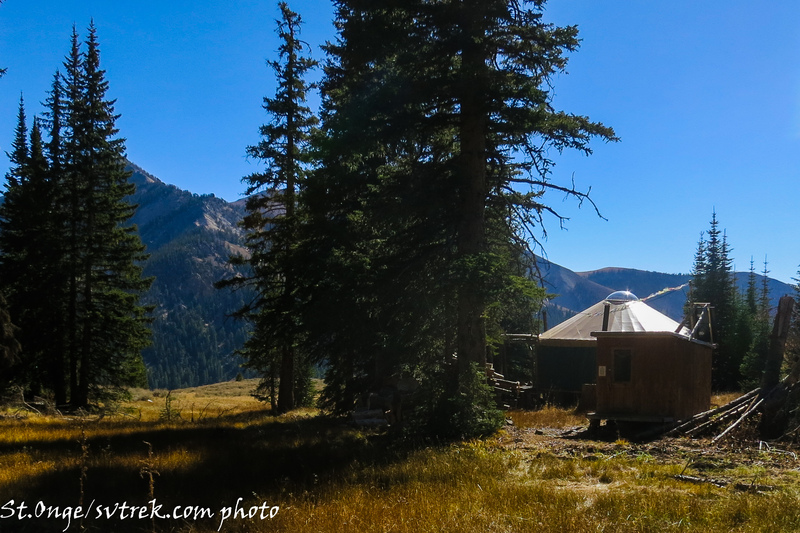 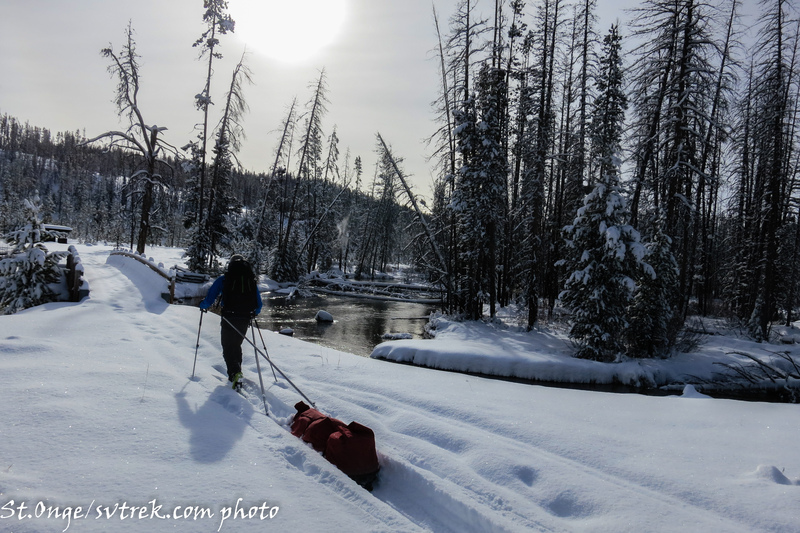 Boulder Yurt: The approach track is in and provides easy skiing through the meadows on the way in. 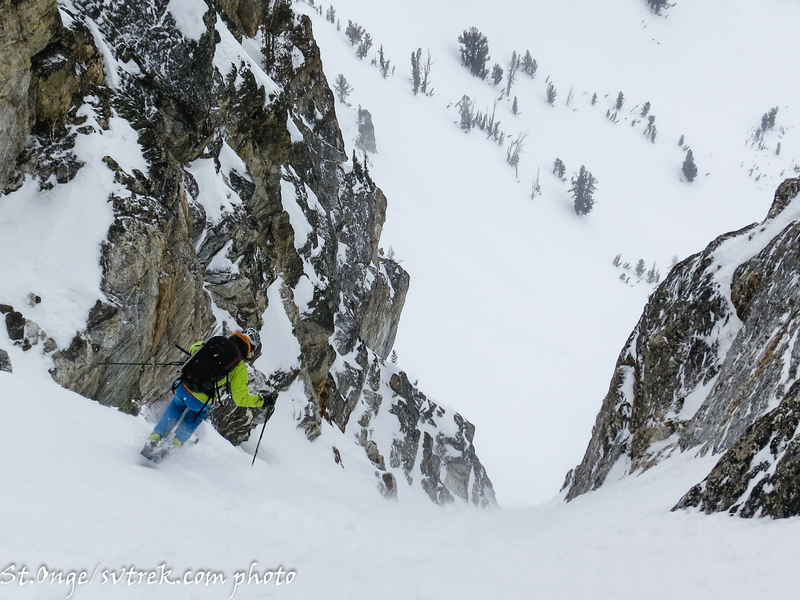 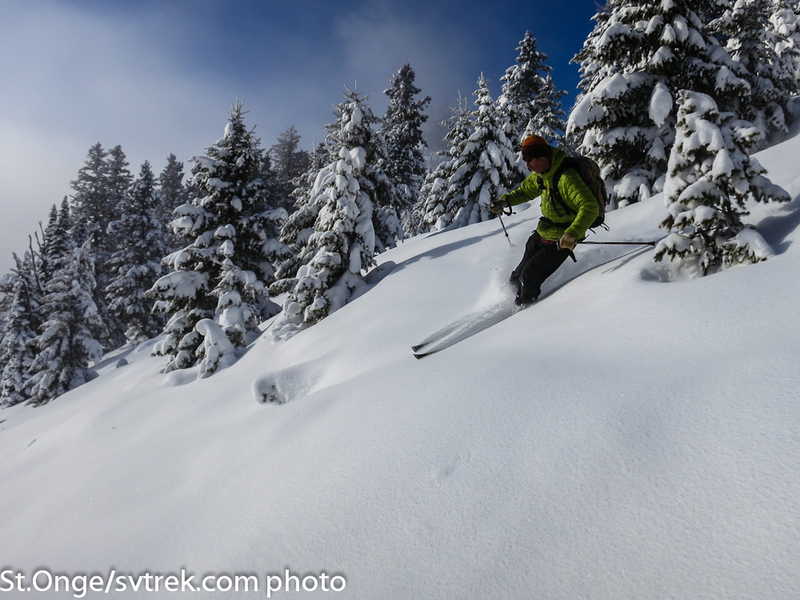 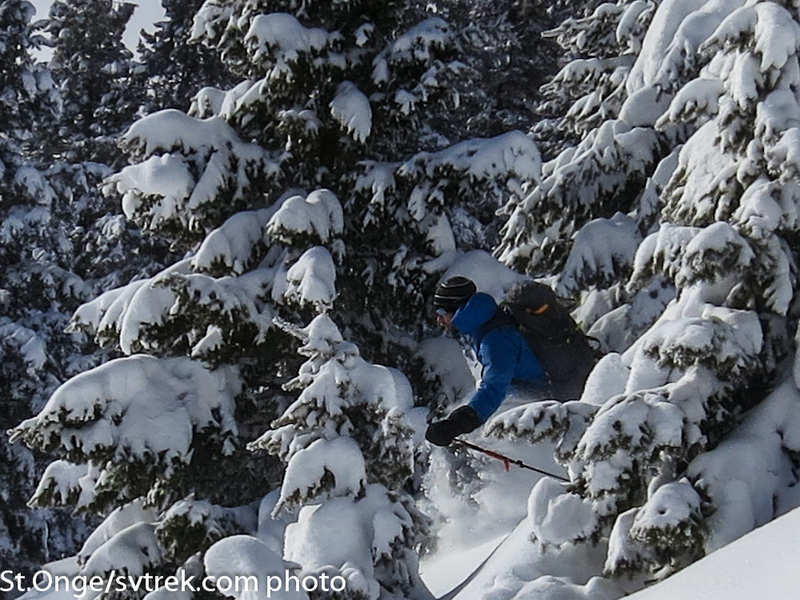 It’s still a bit thin in the bowls above the yurt, but careful route-finding can reward skiers with powder turns. 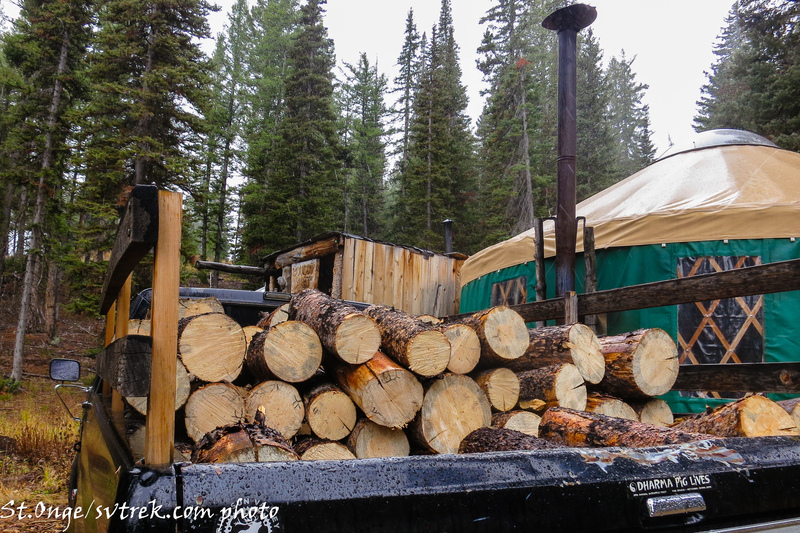 Pioneer Yurt: As of today, you can drive to the summer trailhead and ski all the way to the yurt. 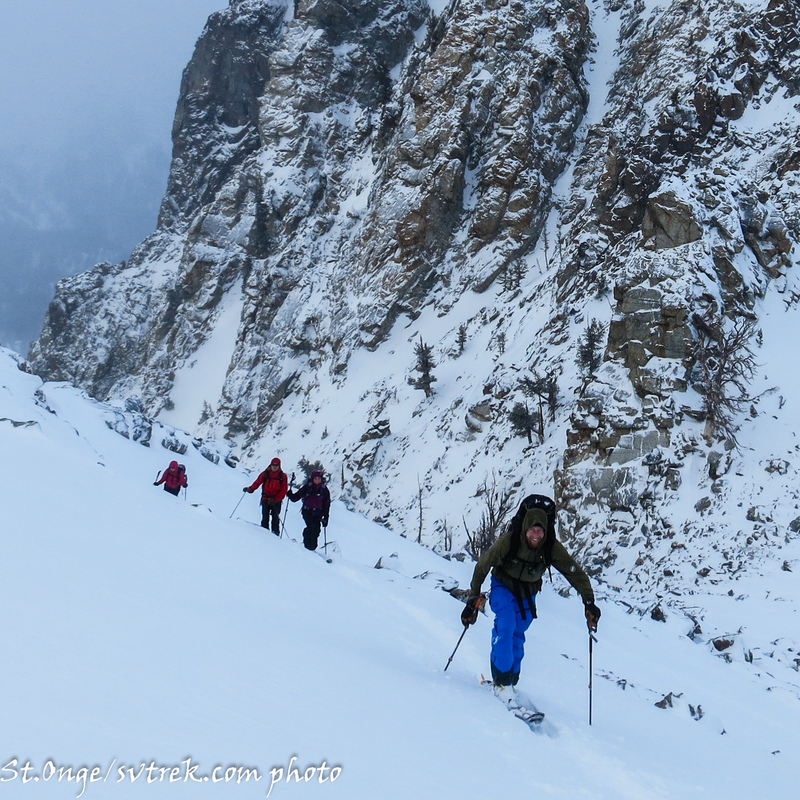 The rain crust from a couple weeks ago as made for an extremely supportive snow pack that resembles a thin spring snow pack more than an early December snow pack. 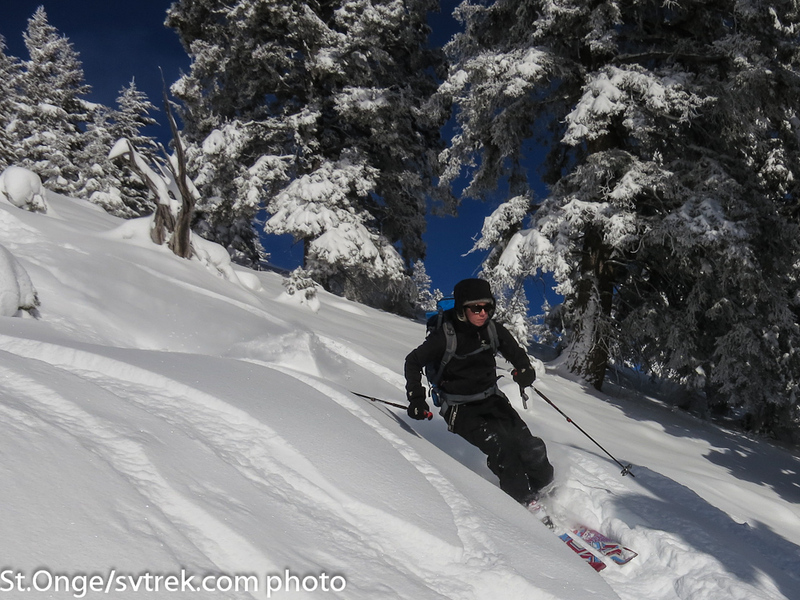 Once at Yurt level (8700′) the coverage is actually pretty good for this time of year (60-100cm depending on location). 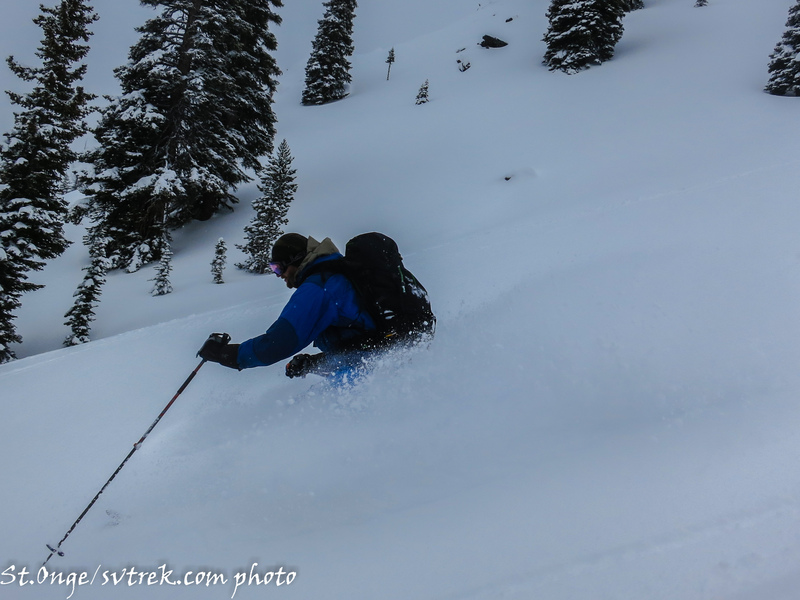 We generally found widespread wind affect on the surface. 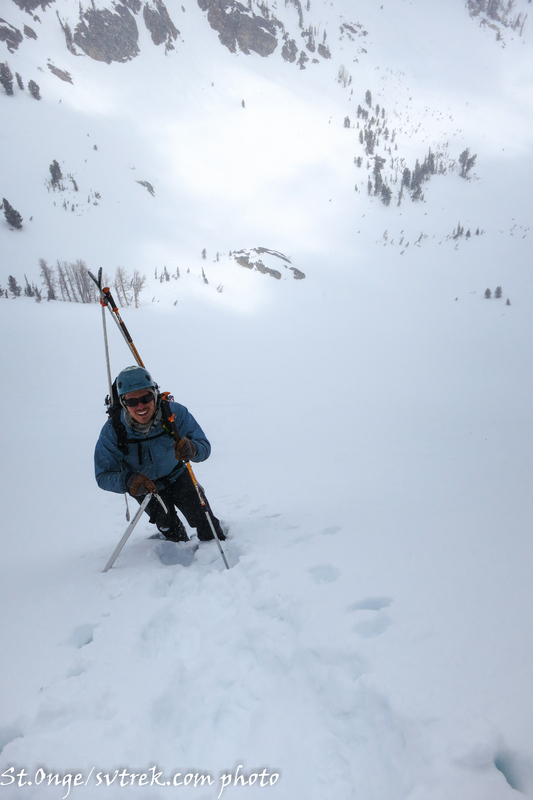 Once we get a resurfacing with the next snowfall, we hope to find some excellent conditions on a supportive base. 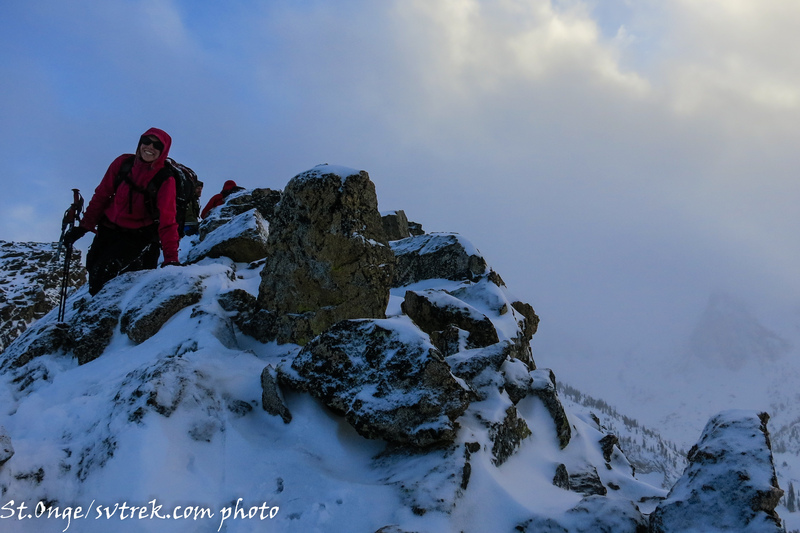 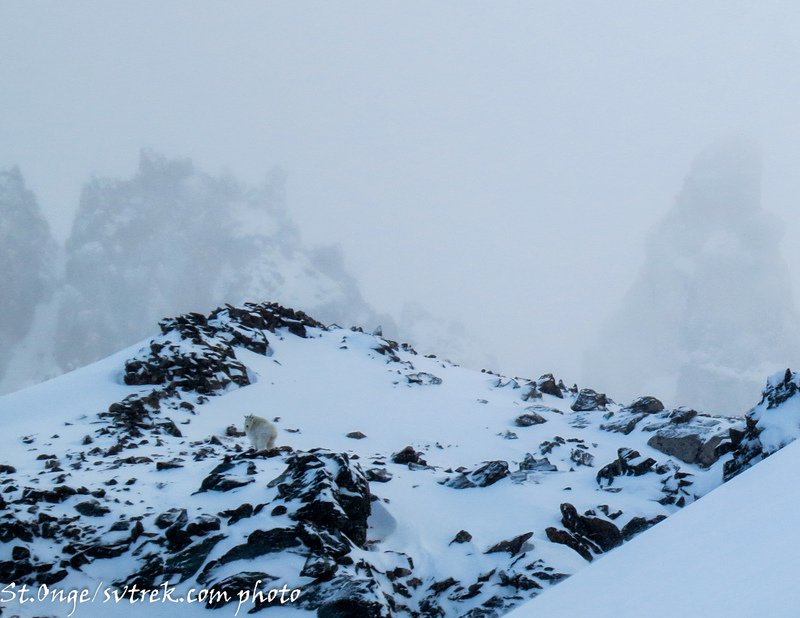 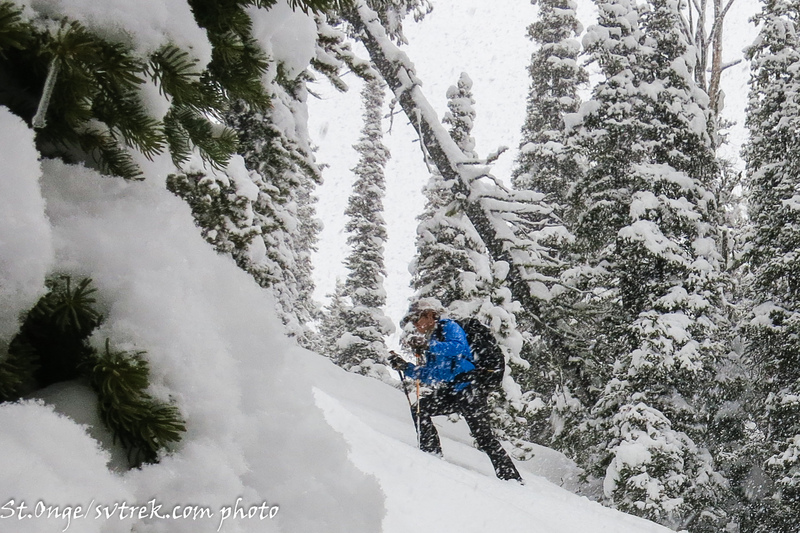 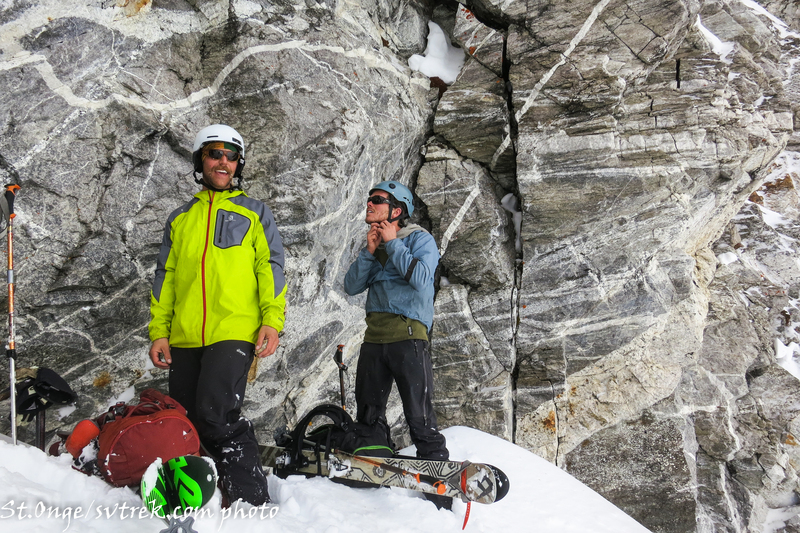 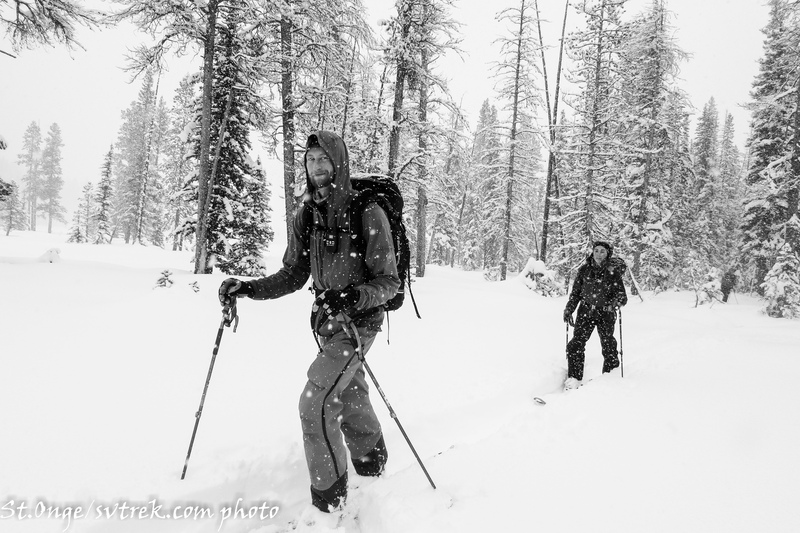 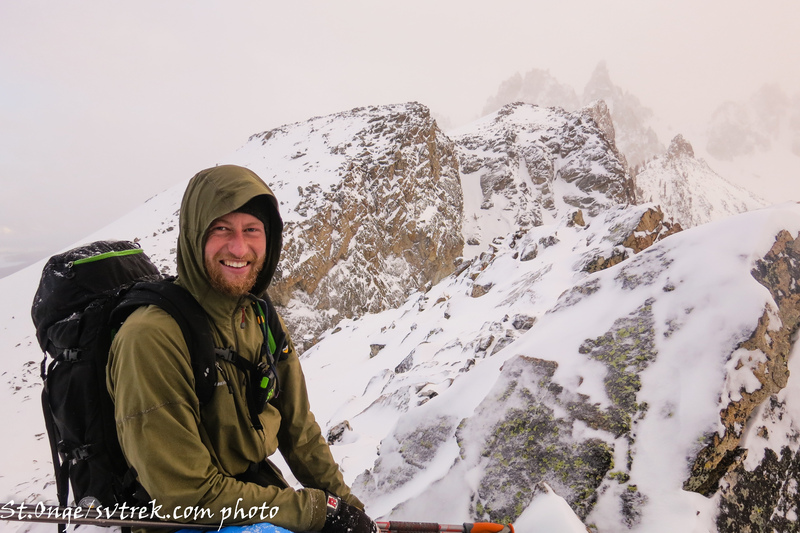 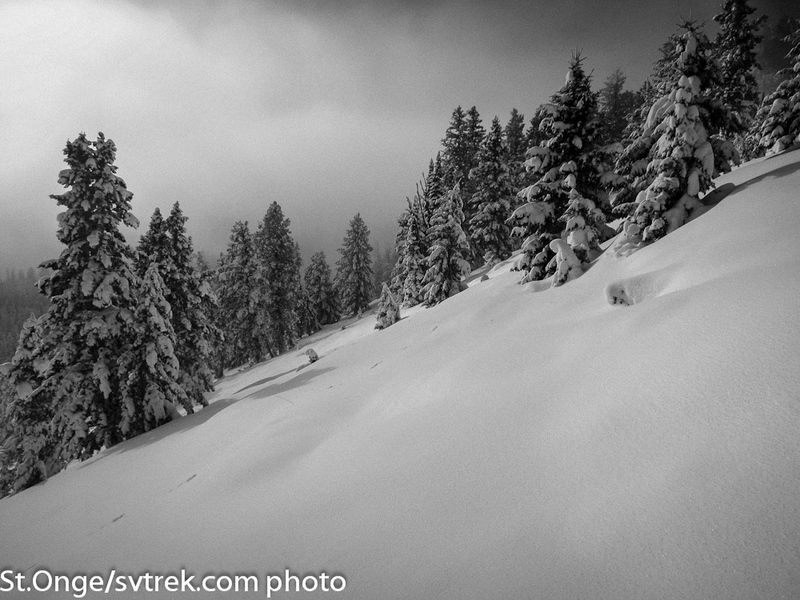 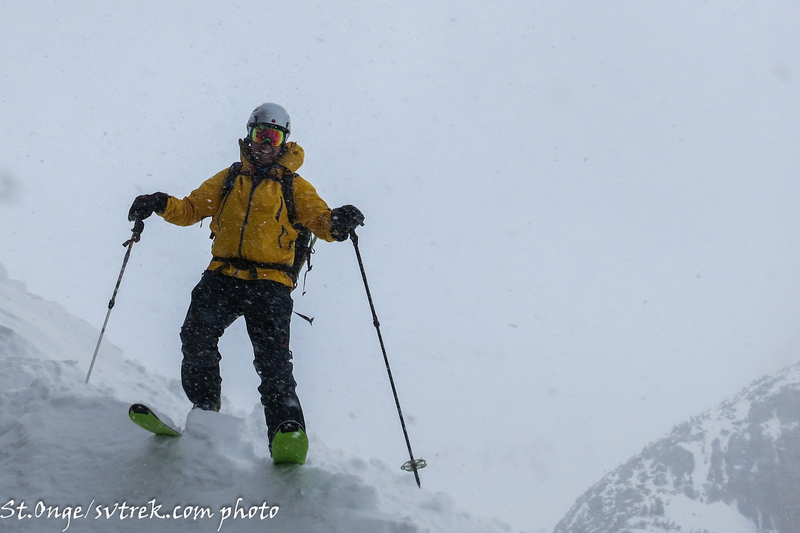 Coyote and Tornak: We are heading up there next and will report back with conditions later in the week. 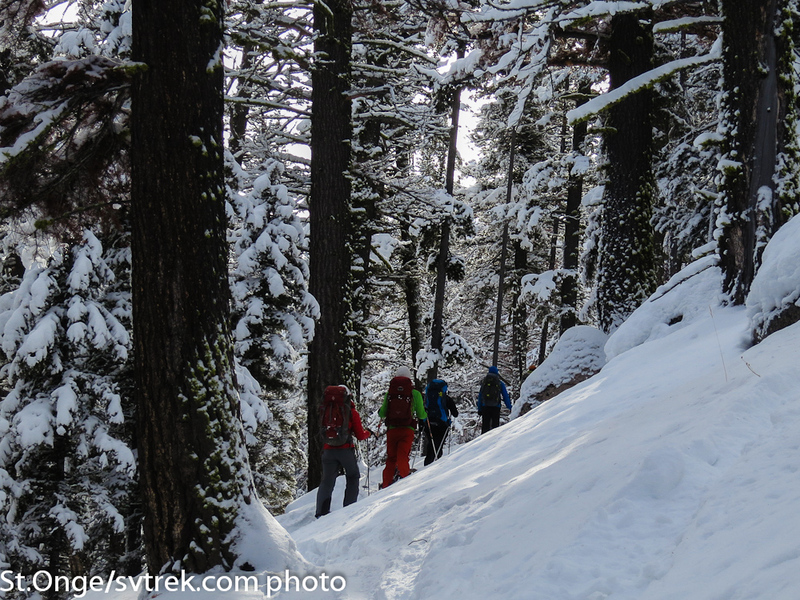 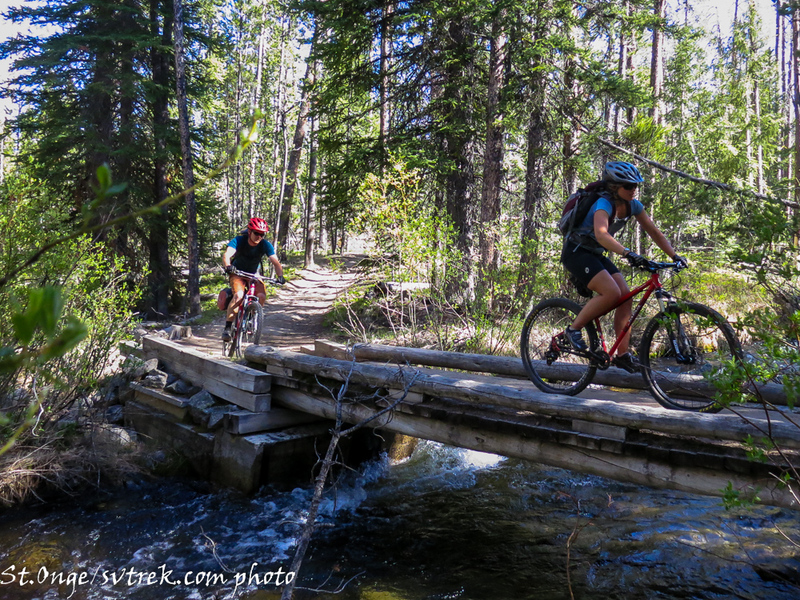 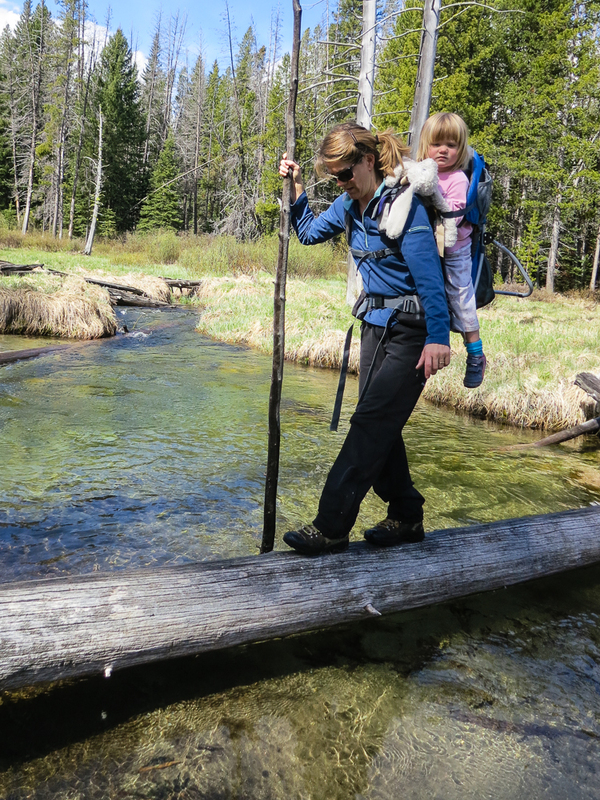 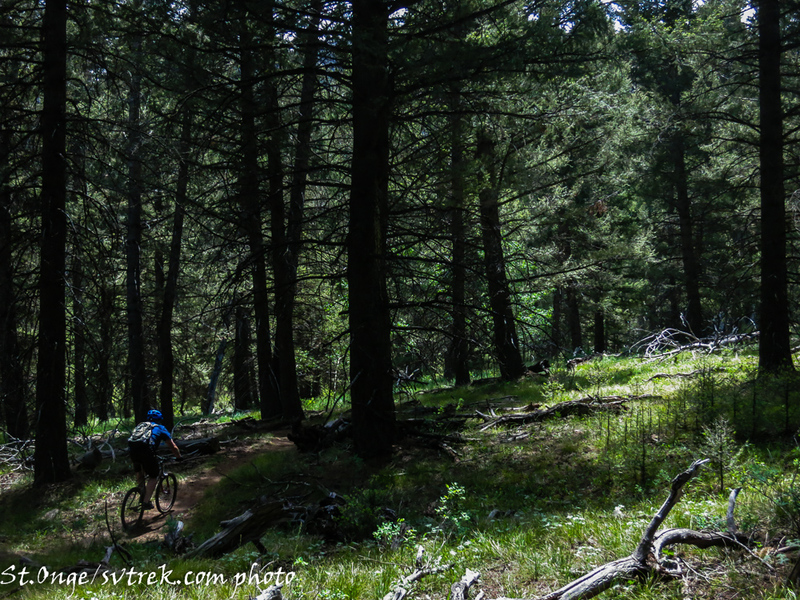 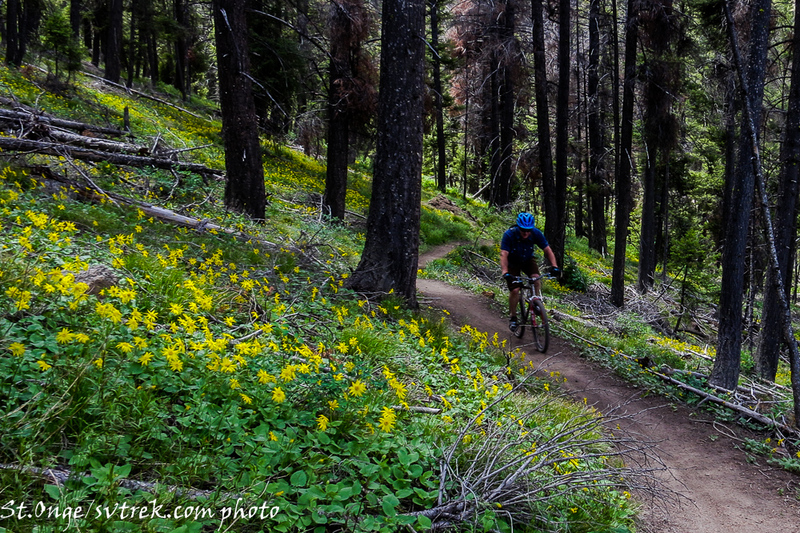 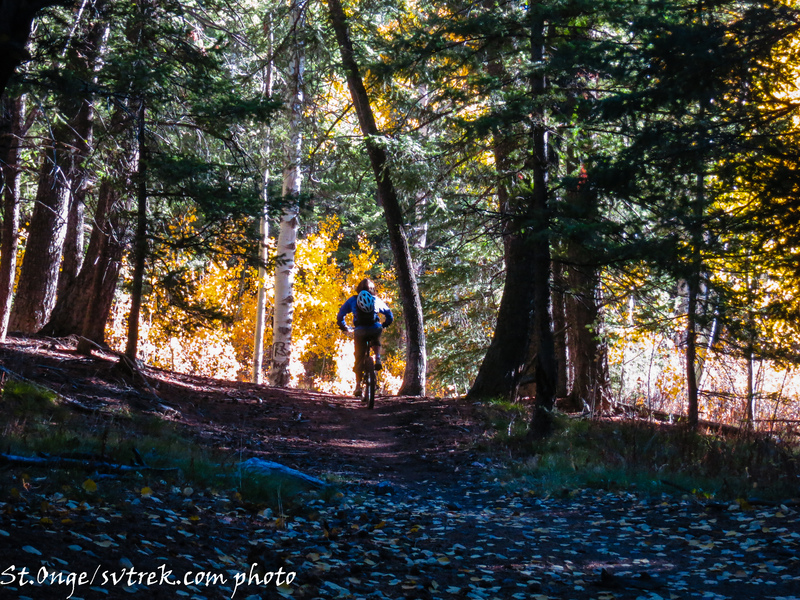 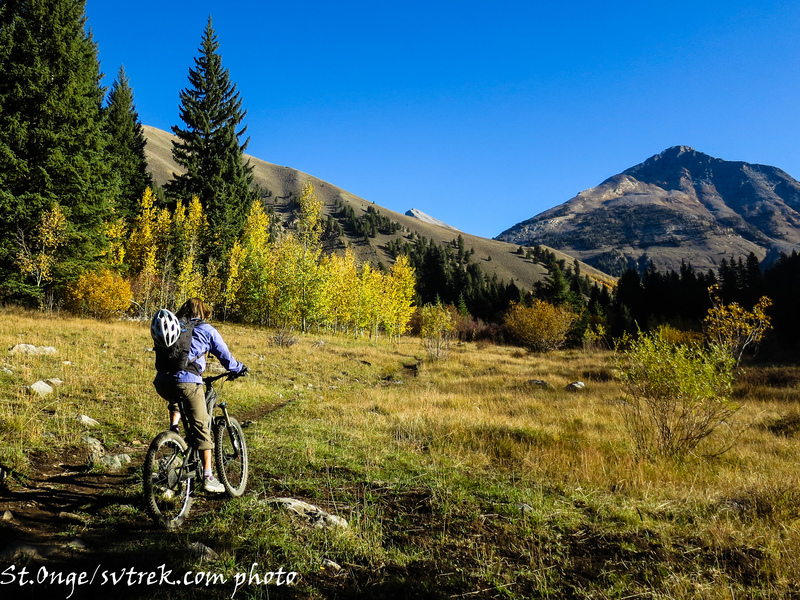 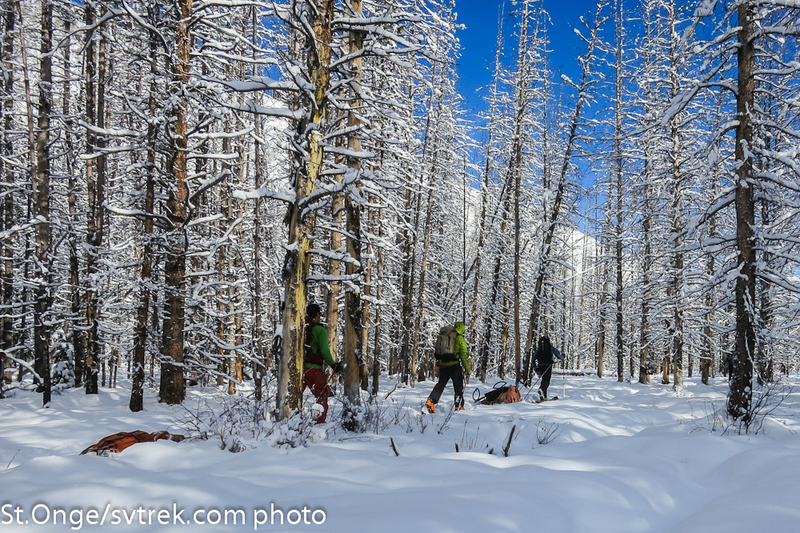 We hope you are enjoying the early season and getting out with your friends. 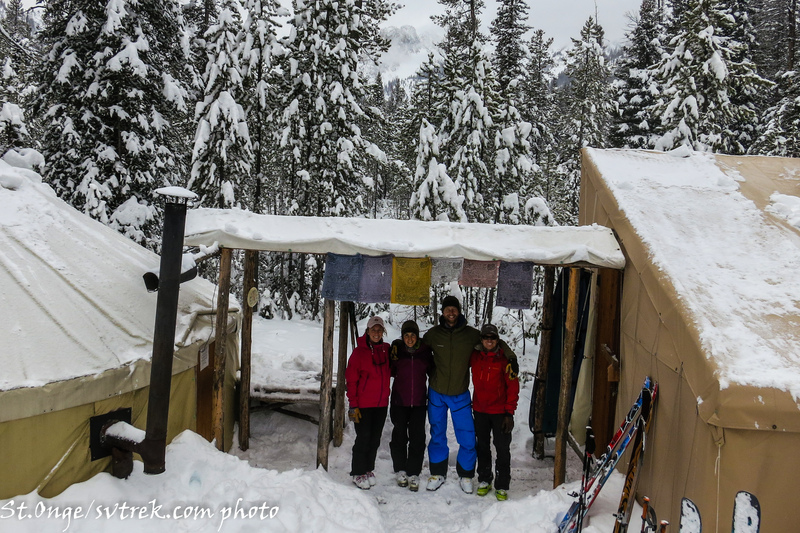 All the huts are looking great and we are excited for the awesome season ahead! 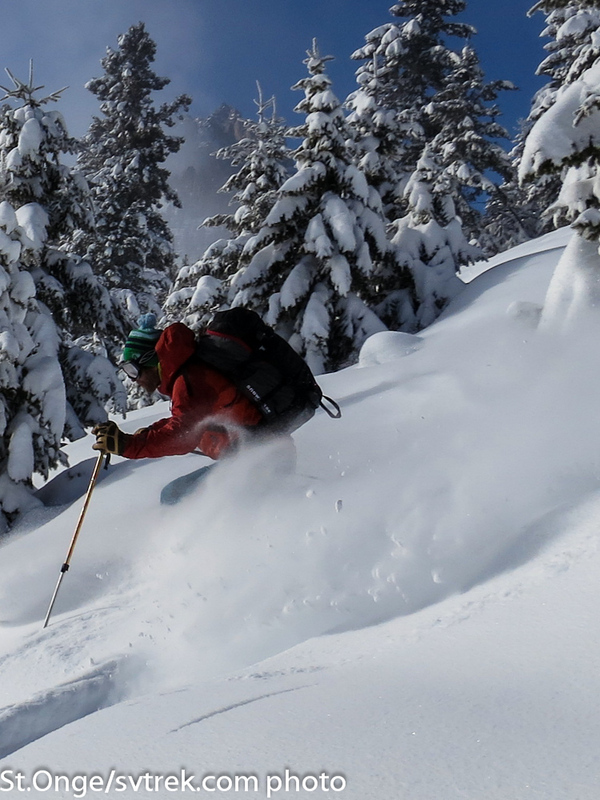 Snowboards always seem to get more faceshots! 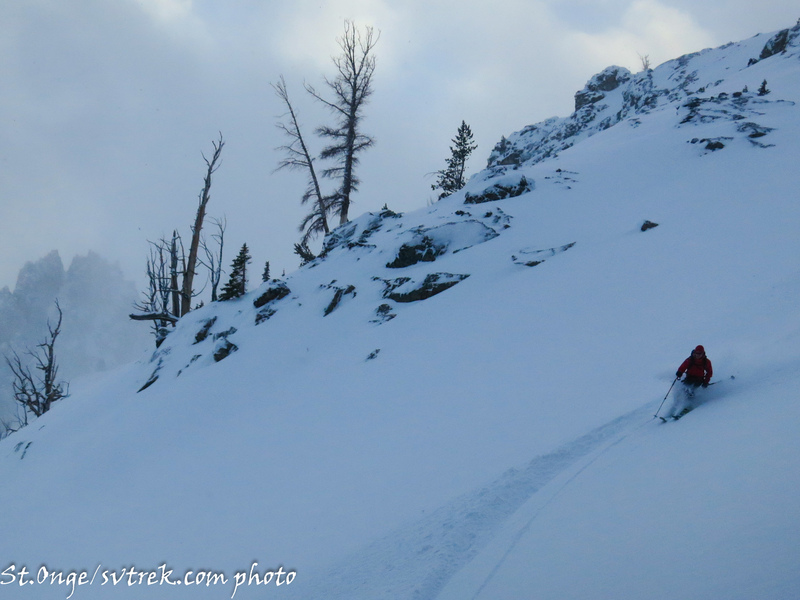 ah, that wonderful feeling of laying down arcs in the dry powder! 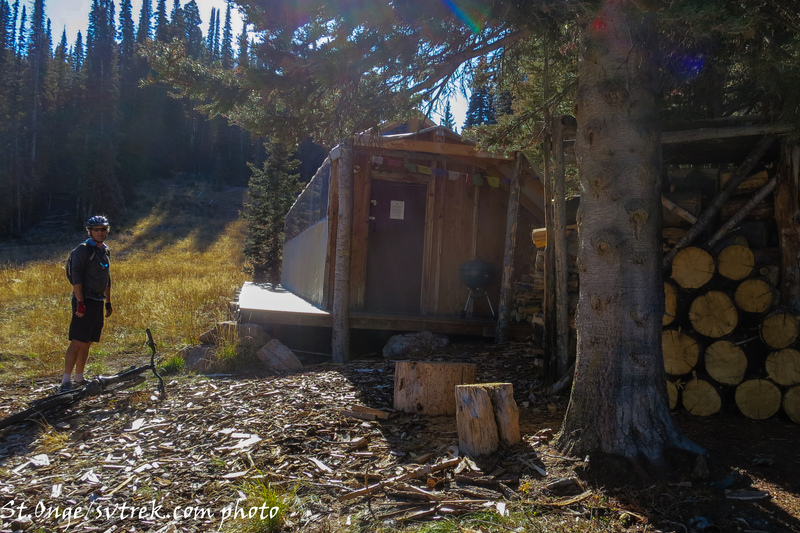 As part of their 11th grade Sawtooth Trip in late September, Community School students helped Joe and Niels prep Bench and Fishhook huts for another busy winter. 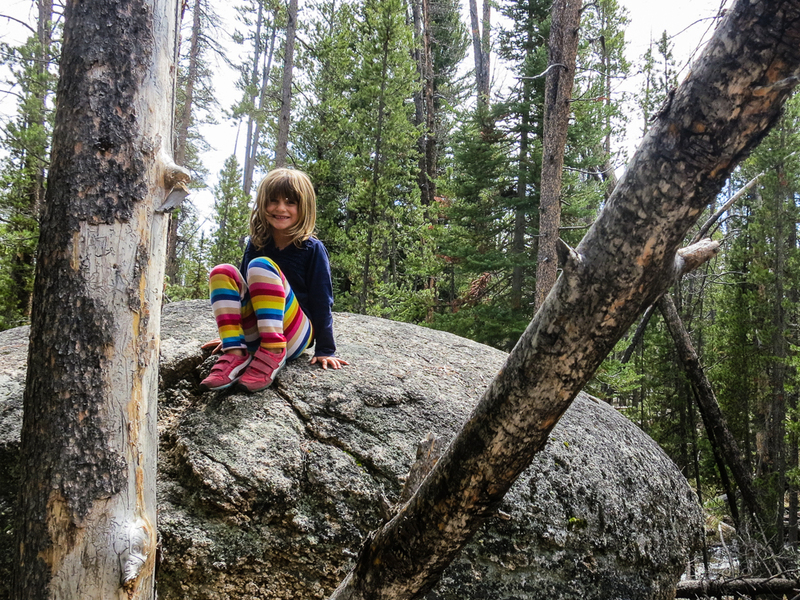 This is a new addition to the Community School’s Outdoor Program, and we’re so happy to have their help! 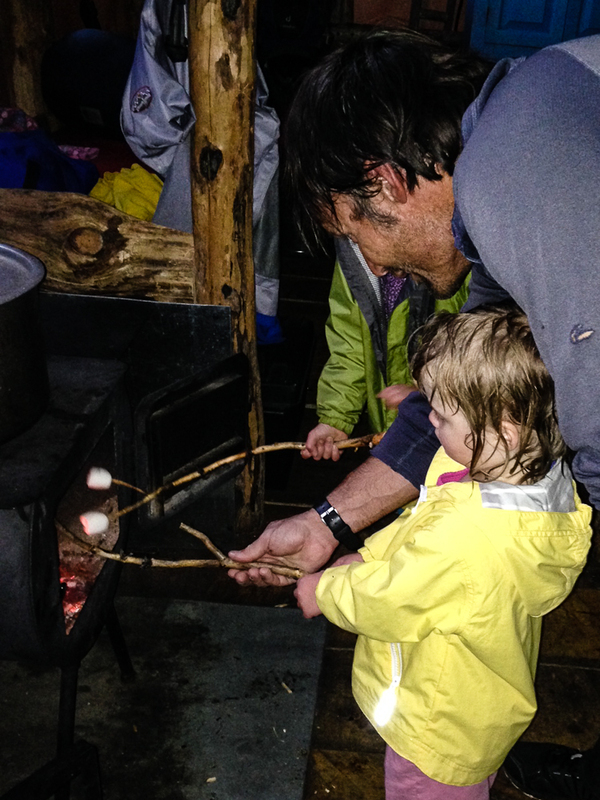 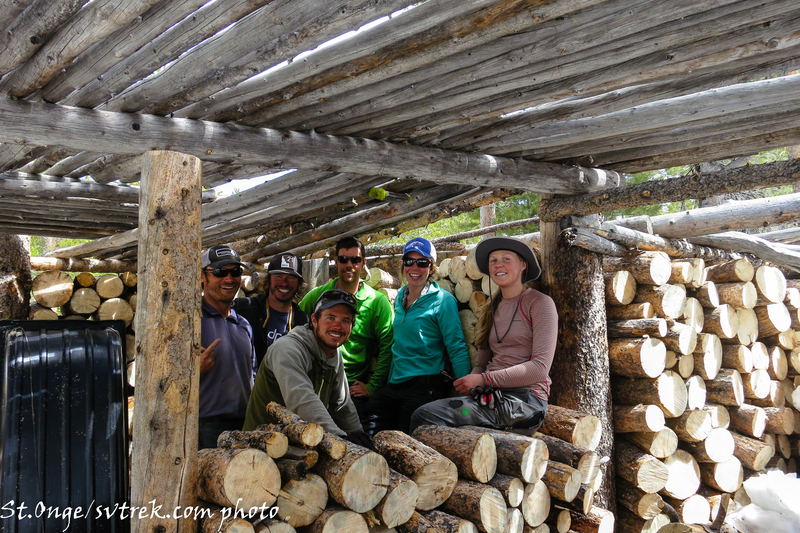 Led by former SVT guide Patrick Graham, who is now the Outdoor Program Director for Community School, the students helped rebuild the hot tub wood shack at Fishhook, as well as clean both Fishhook and Bench Huts inside and out, stack firewood, and more. 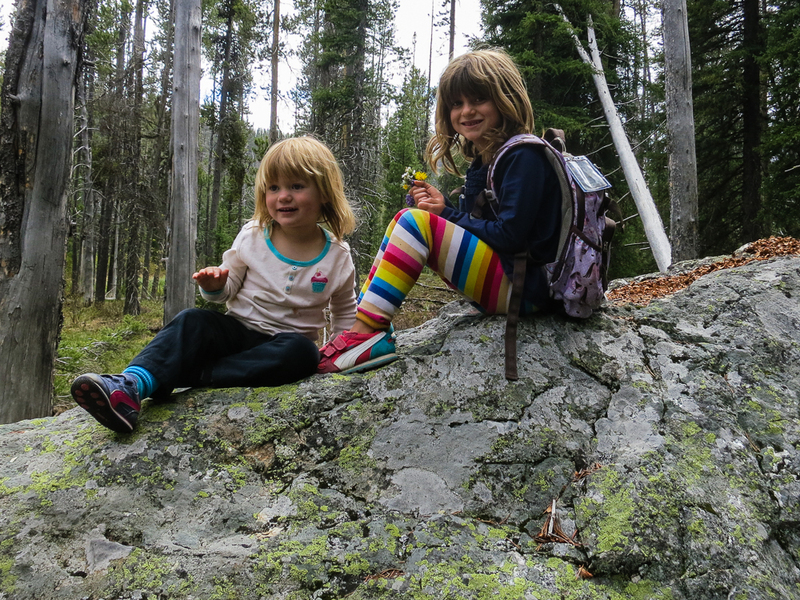 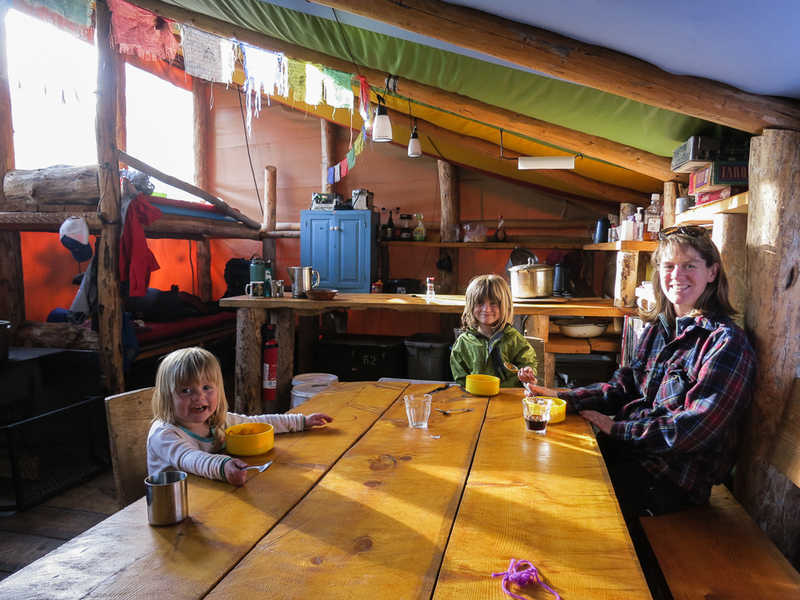 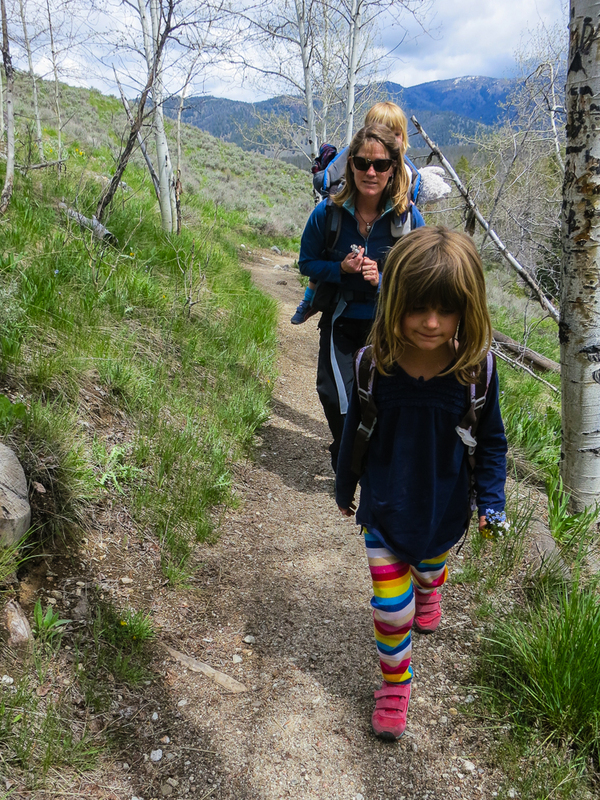 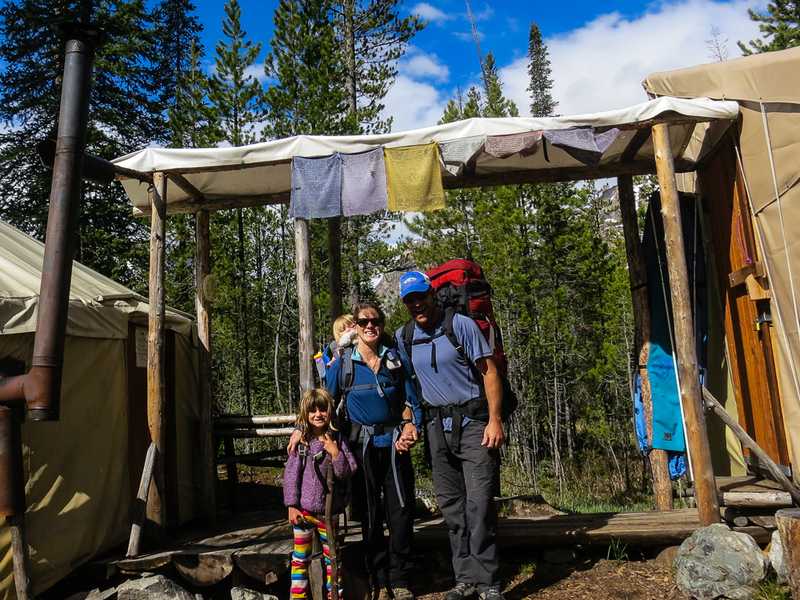 Sun Valley Trekking has had a long-standing relationship with Community School, which rents our huts annually for outdoor education. 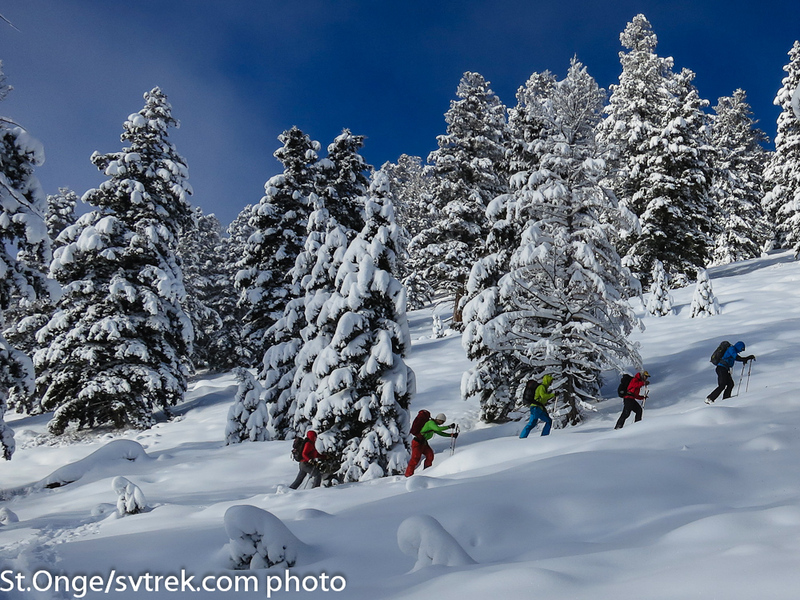 Students from 4th grade to 12th grade get to experience winter backcountry life in the local mountains with the added support (and fun!) 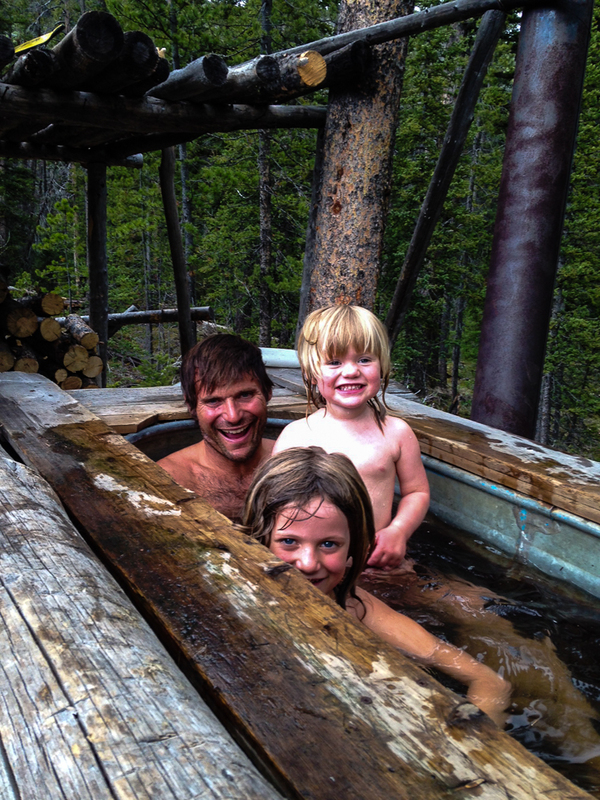 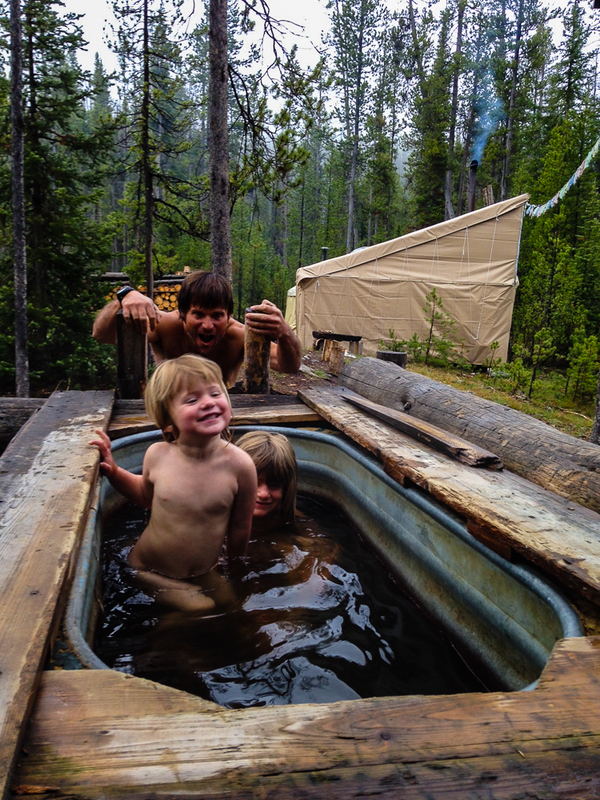 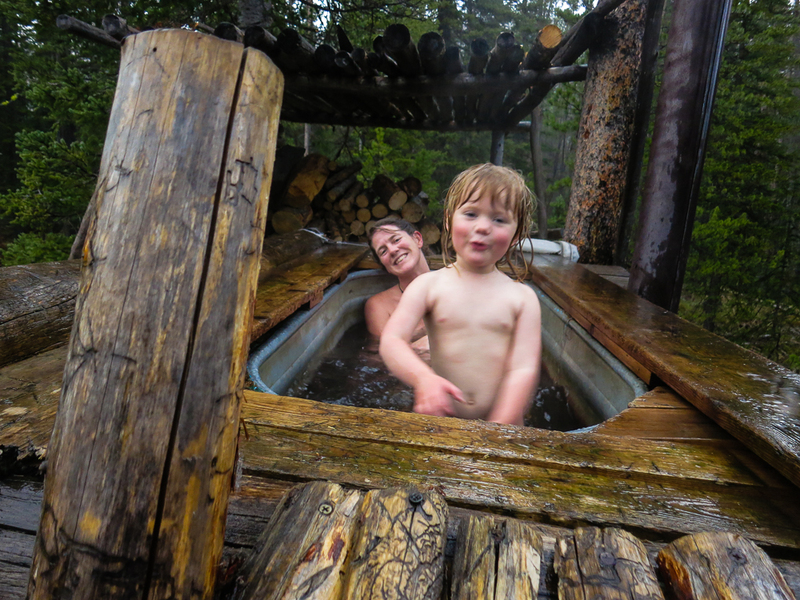 of saunas and hot tubs, kitchens, outhouses, and a roof over their heads. 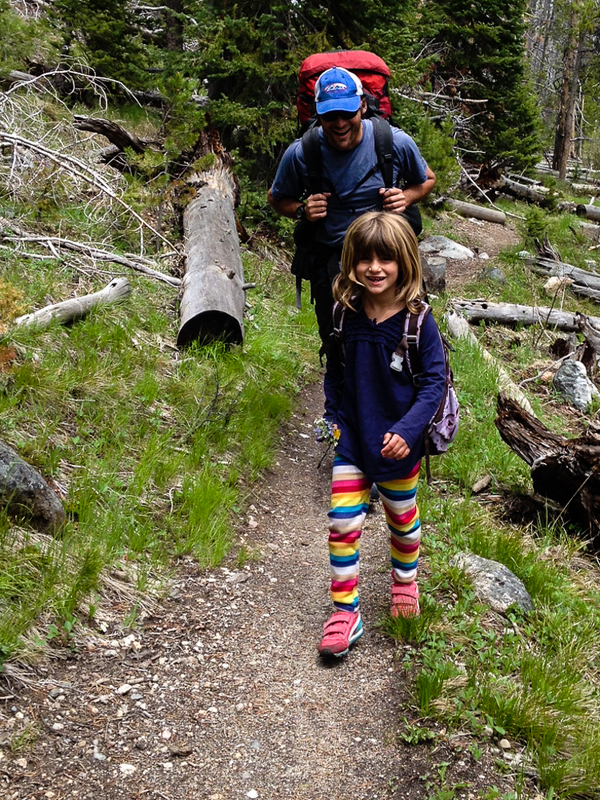 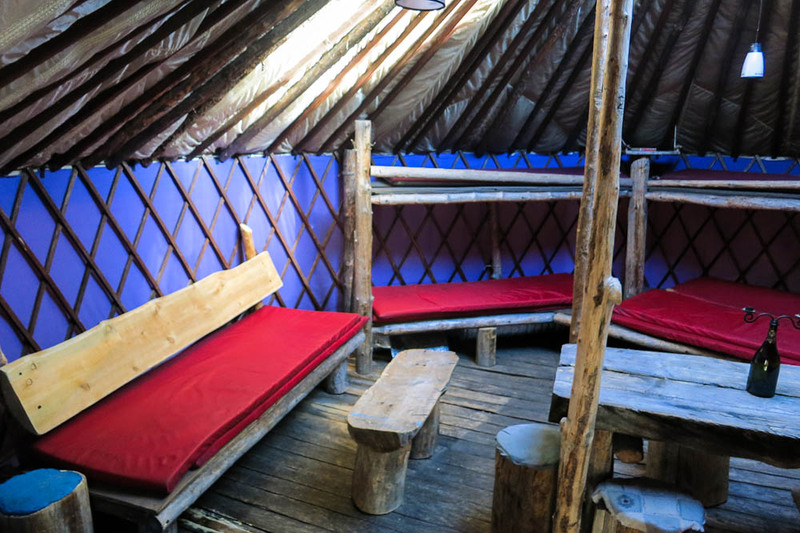 Winter trips range from learning basic winter travel and safety skills at Boulder Yurt in the fourth grade to outdoor winter camping near Fishhook Yurt in ninth grade to avalanche safety and backcountry skiing at Bench Hut in eleventh and twelfth grade. 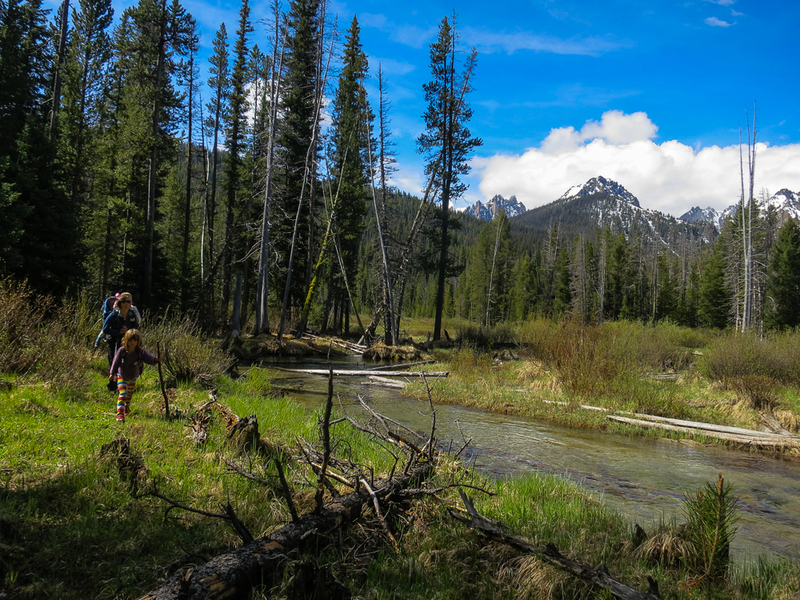 And while Community School students go everywhere from the Olympic Coast to Glacier Park to Canyonlands on school outdoor trips, the 11th grade fall “Sawtooth Trip” is a chance for students to see and value the incredible playground that’s right out their back door here in Sun Valley through climbing, biking, and hiking – and they’re now giving back to that playground by helping us out at the huts. 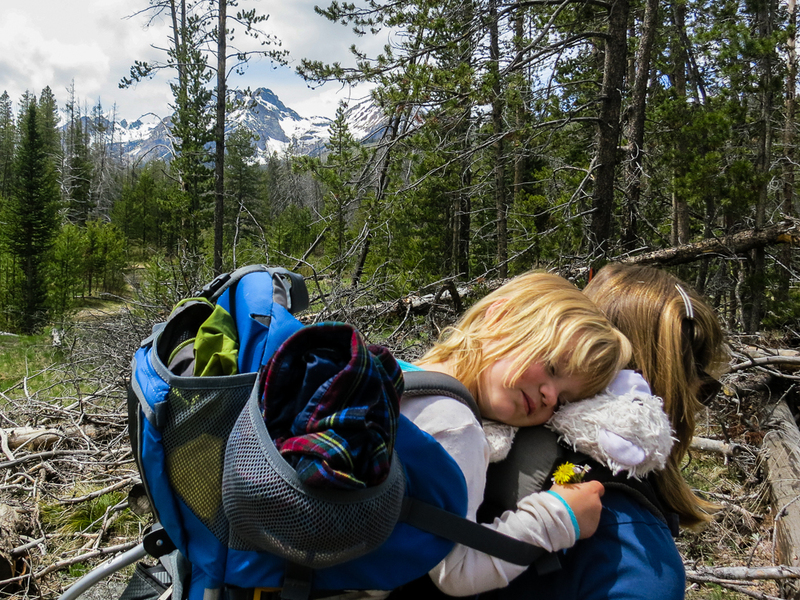 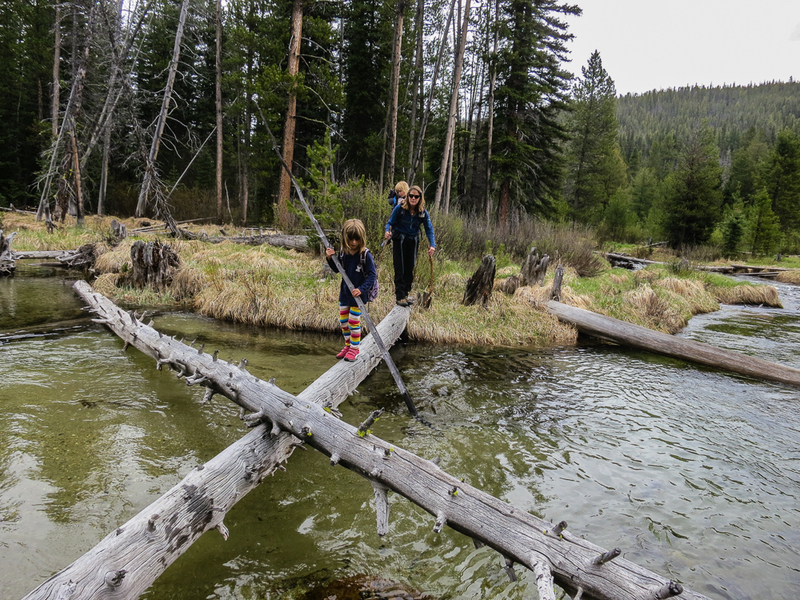 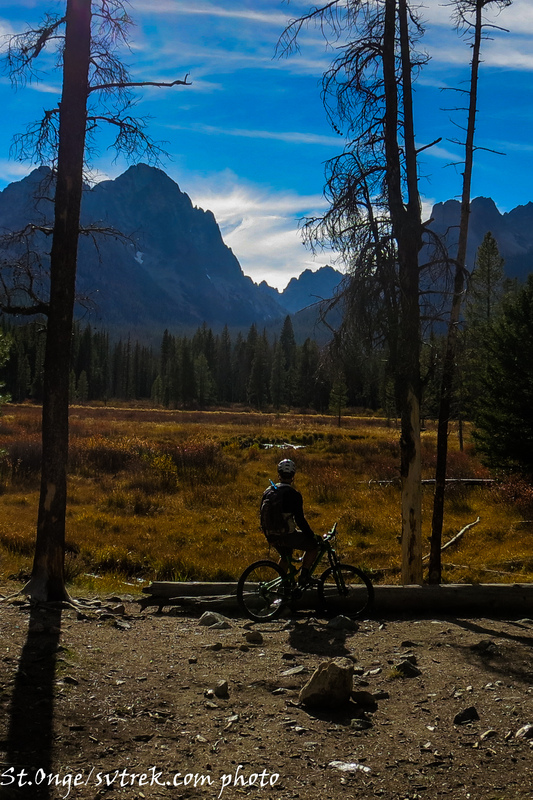 Over the course of four beautiful fall days, different student groups hiked into either hut, where they put in some seriously hard work, demonstrating solid teamwork and leadership, and then hiked back to their base camp at Redfish Lake. 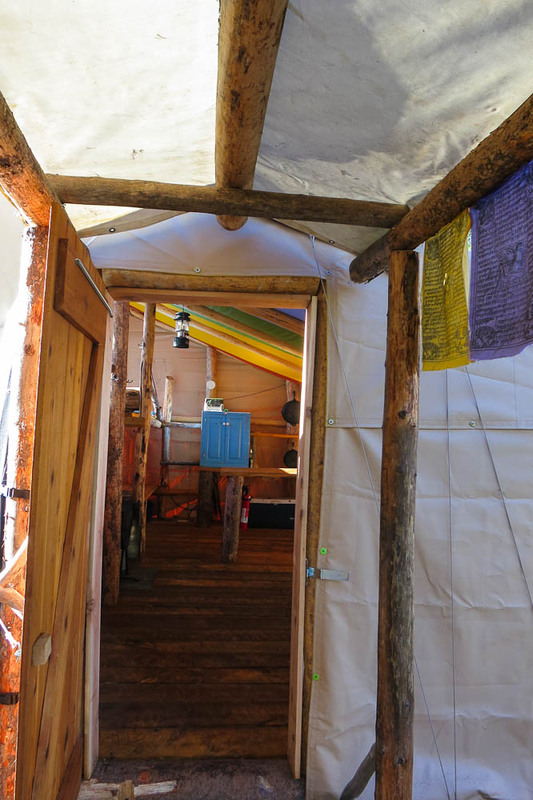 It’s a great chance for the students to see what goes on behind the scenes at these huts they’ve visited many times and we can always use some help getting ready for the busy winter season. 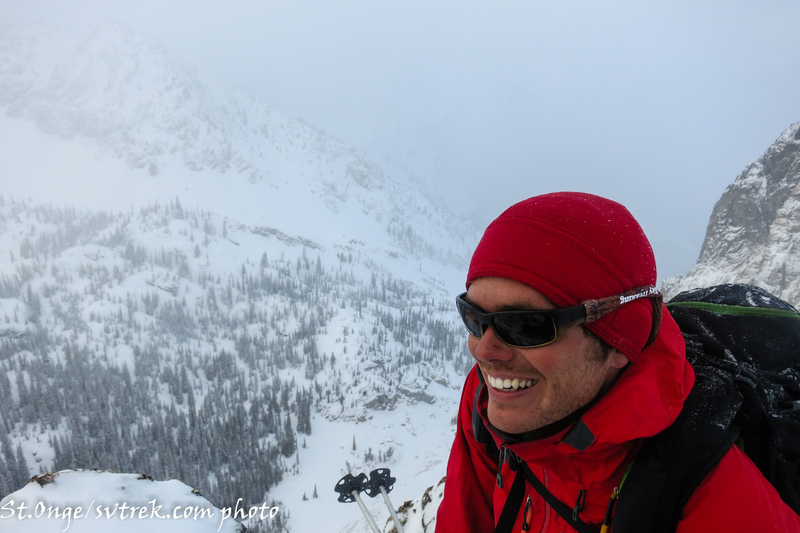 Thanks Patrick and Community School! 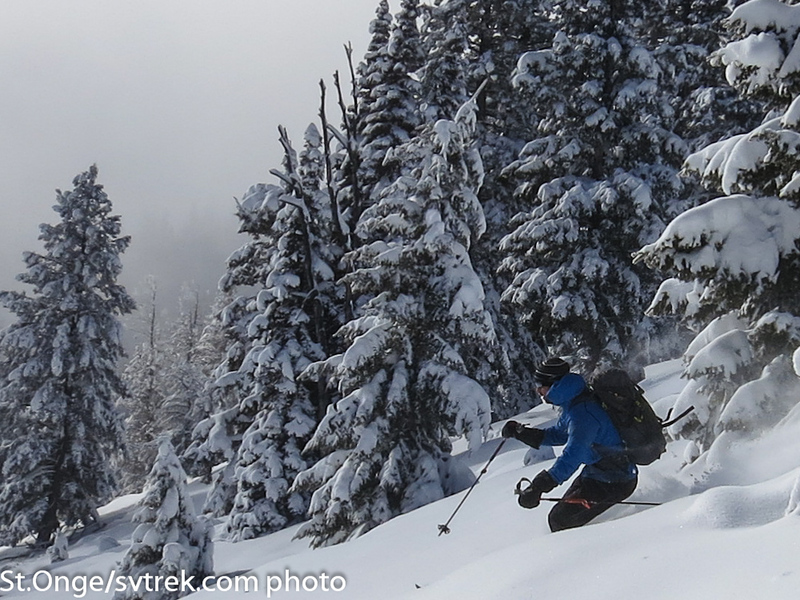 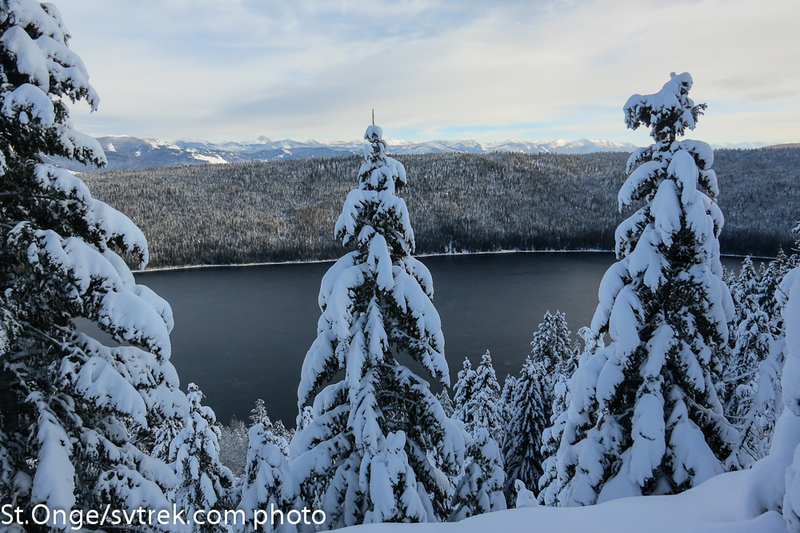 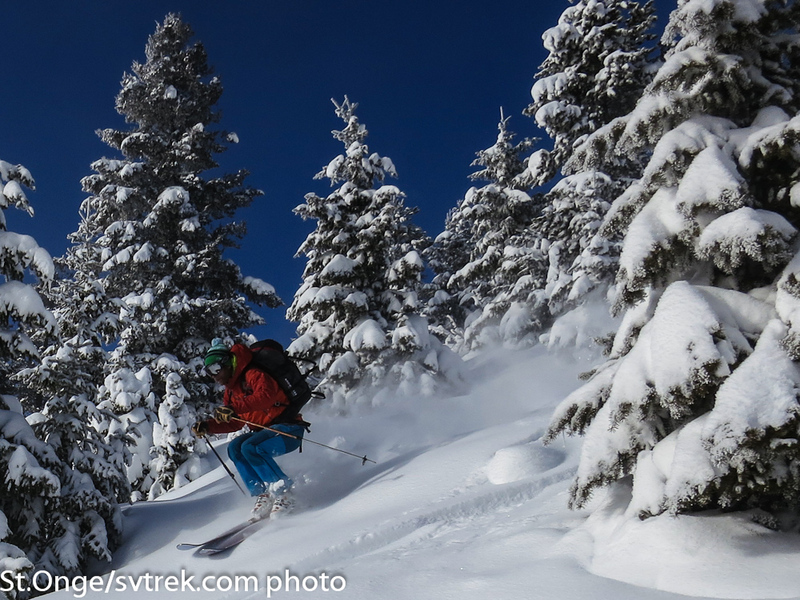 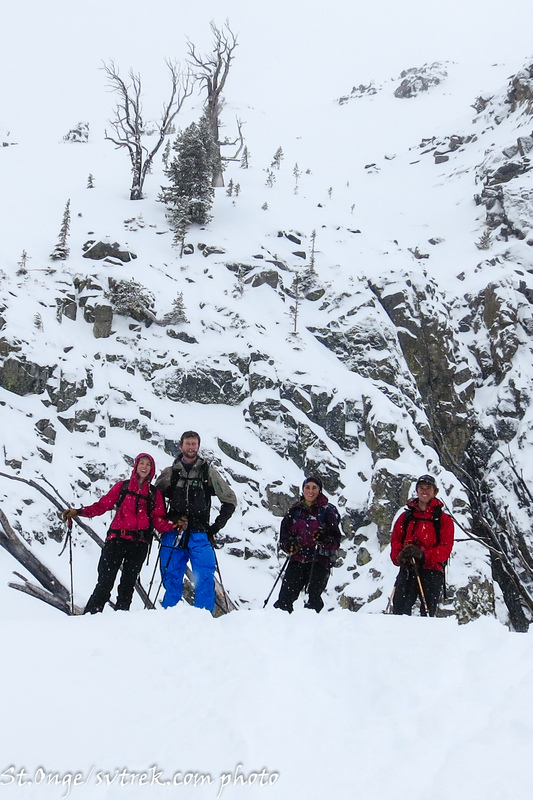 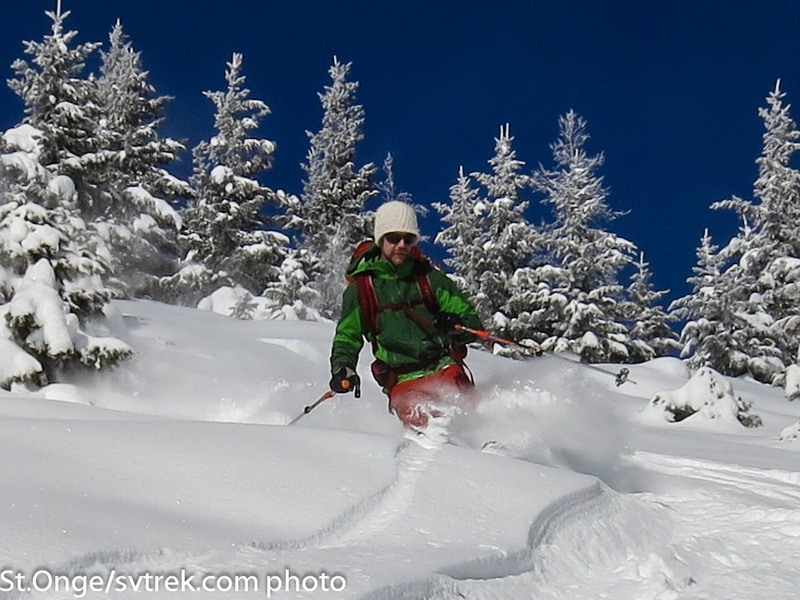 We can’t wait to see your staff and students in the backcountry this winter. 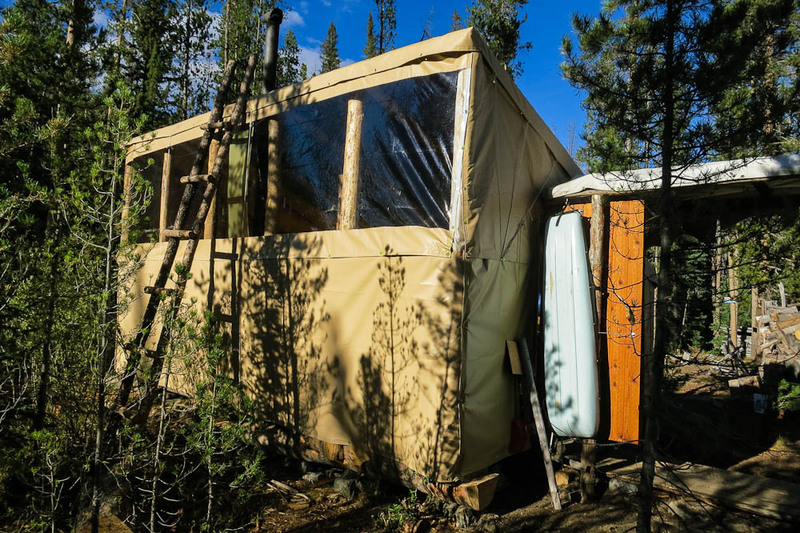 When the snow melts, we start the process of prepping, repairing and improving the huts. 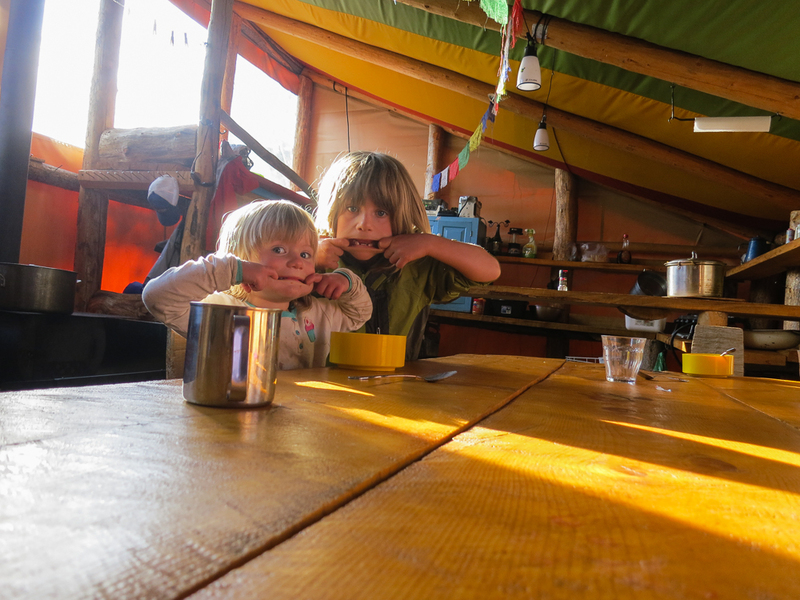 This summer season, hutmeisters: Niels and Aysha are riding from hut-hut working on projects. 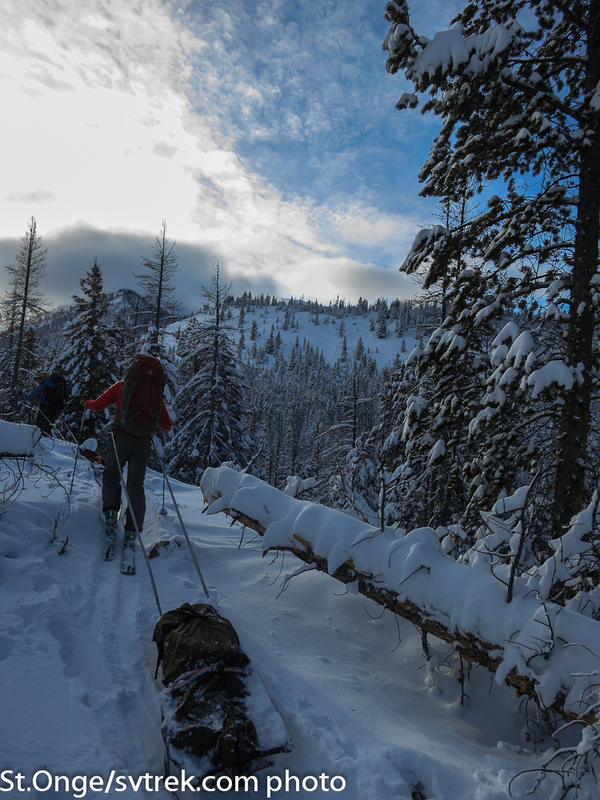 We cut out the downed timber on the Fishhook Trail, so its is clear and smooth now. 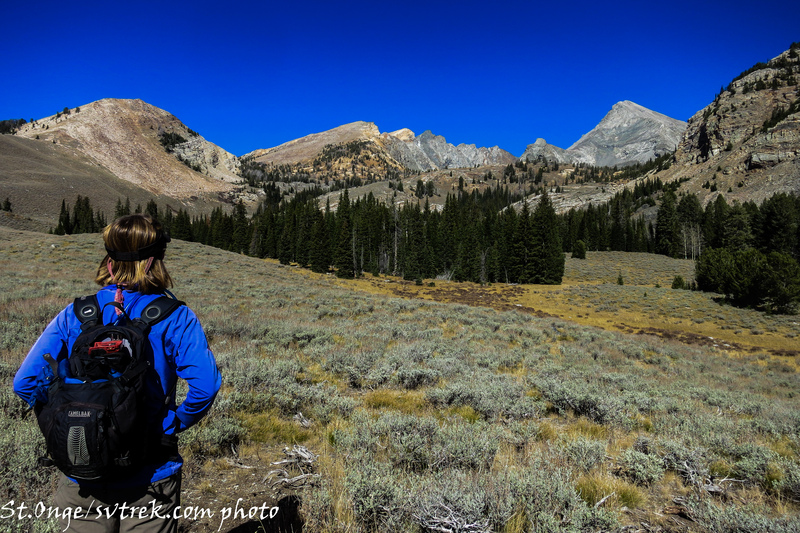 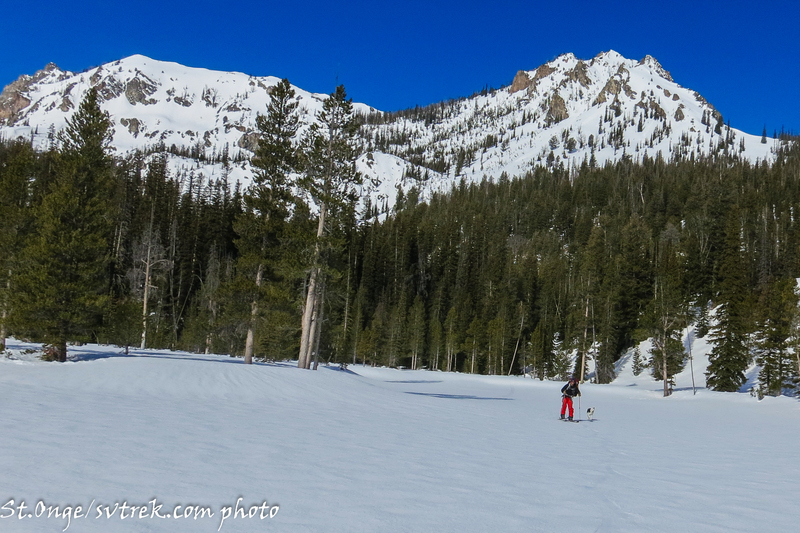 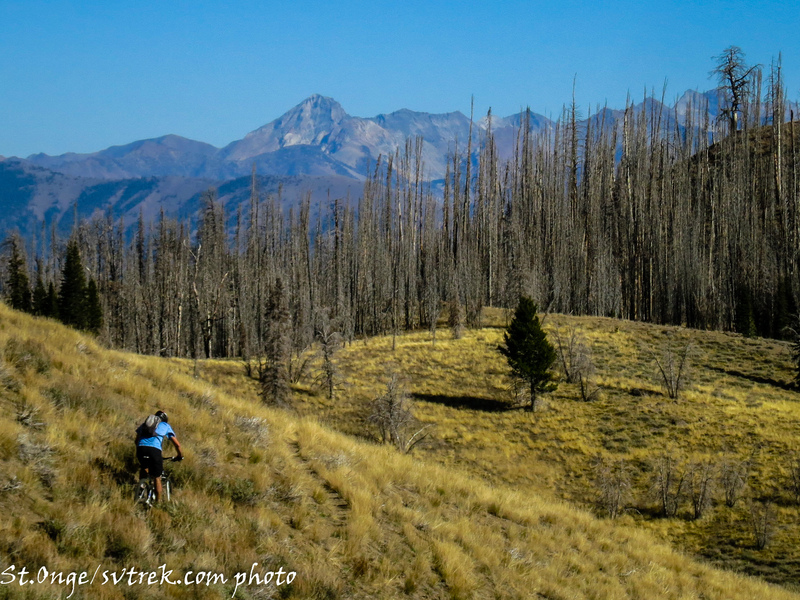 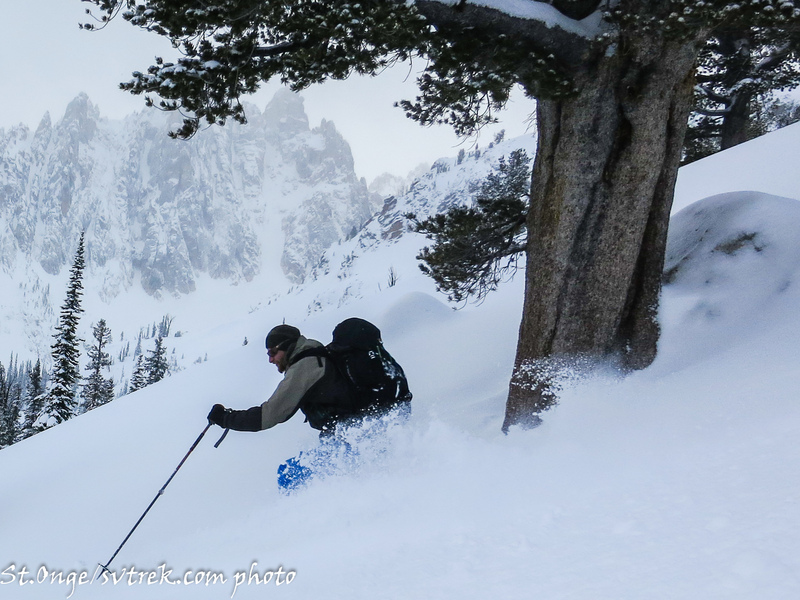 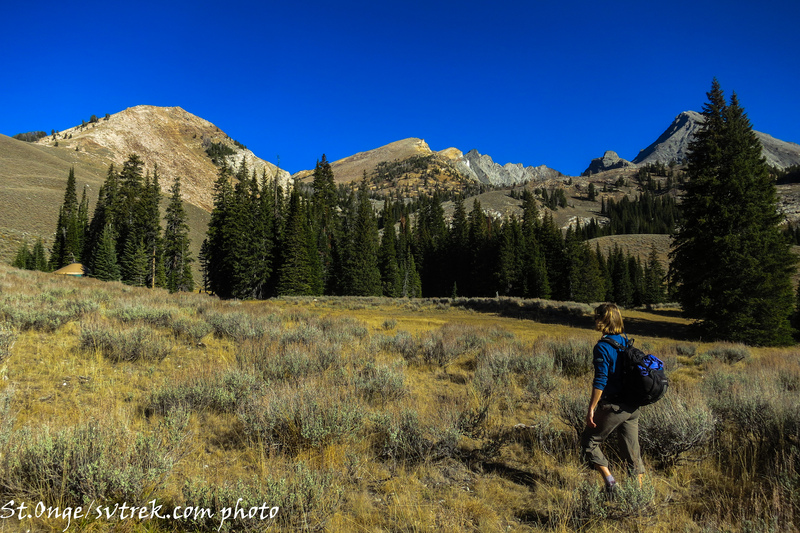 The following photos are from a recent trip into the Sawtooth with owner/guide/backcountry carpenter: Joe St.Onge. 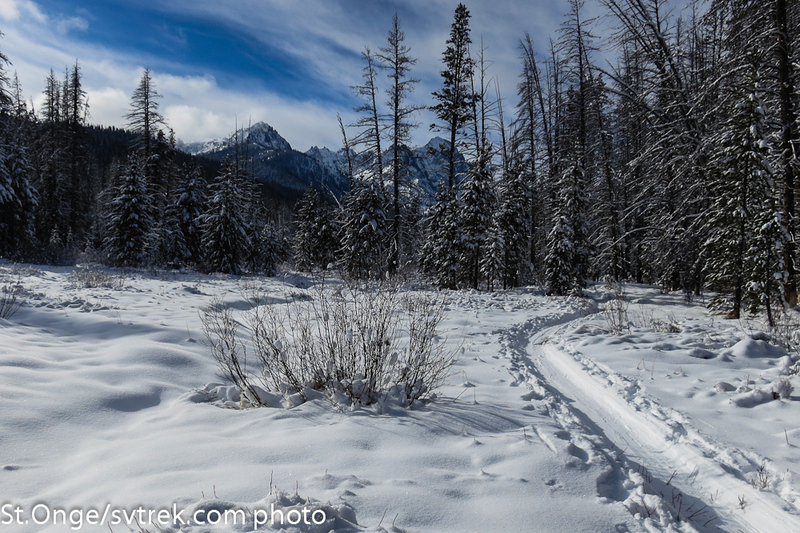 Sure is pretty out there! 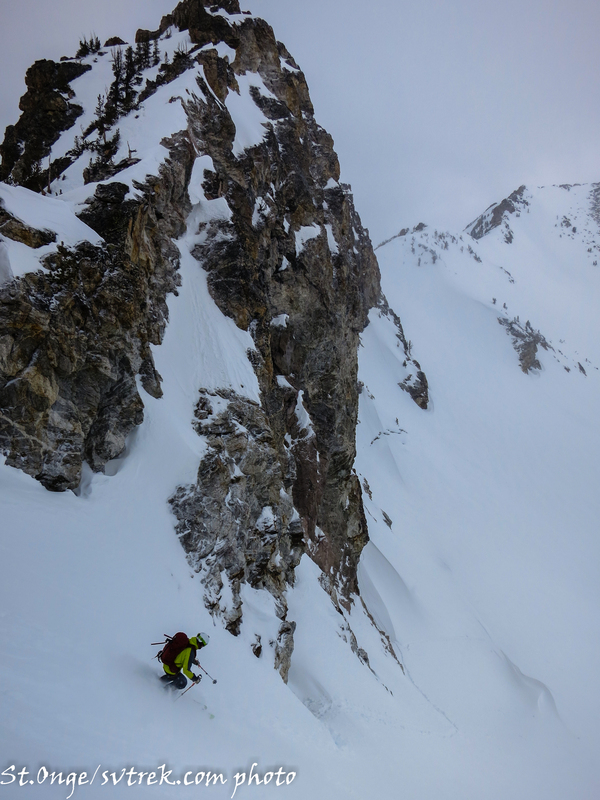 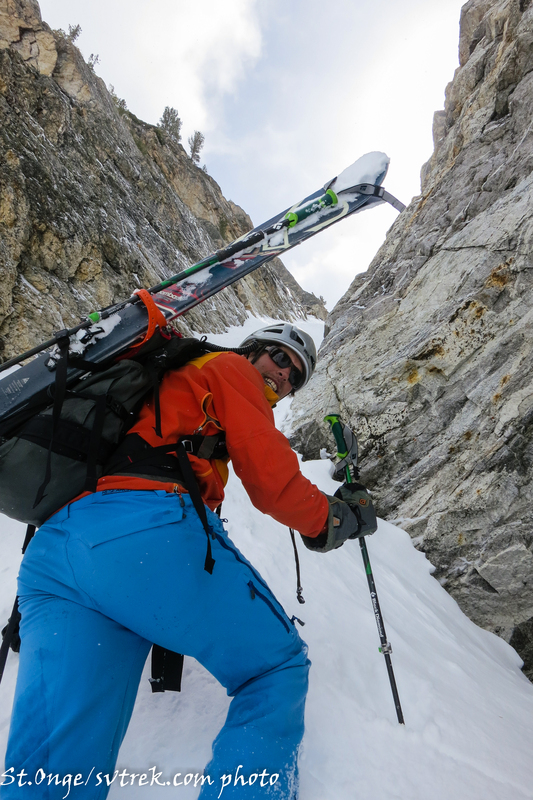 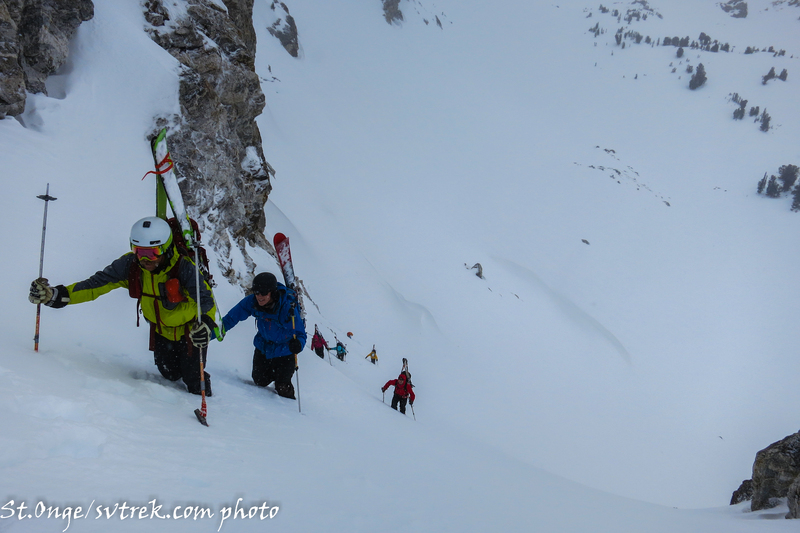 We are just back from the annual Sawtooth Woodcuts: 4 days of cutting wood and skiing couloirs. 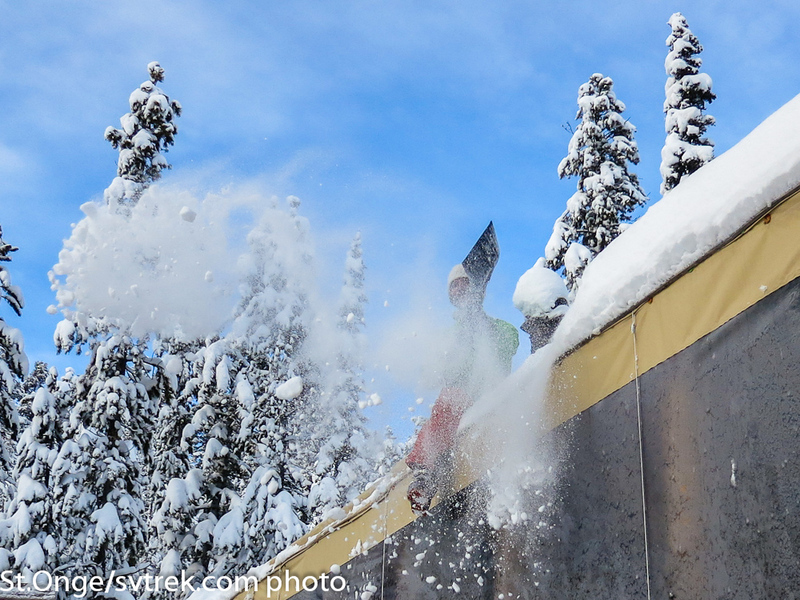 Hard labor and Fun Stuff. 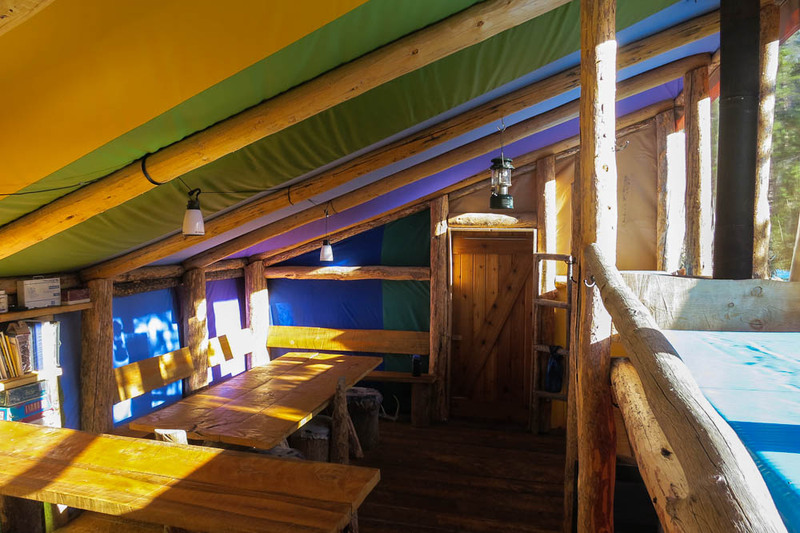 Introducing the New Fishhook Hut! 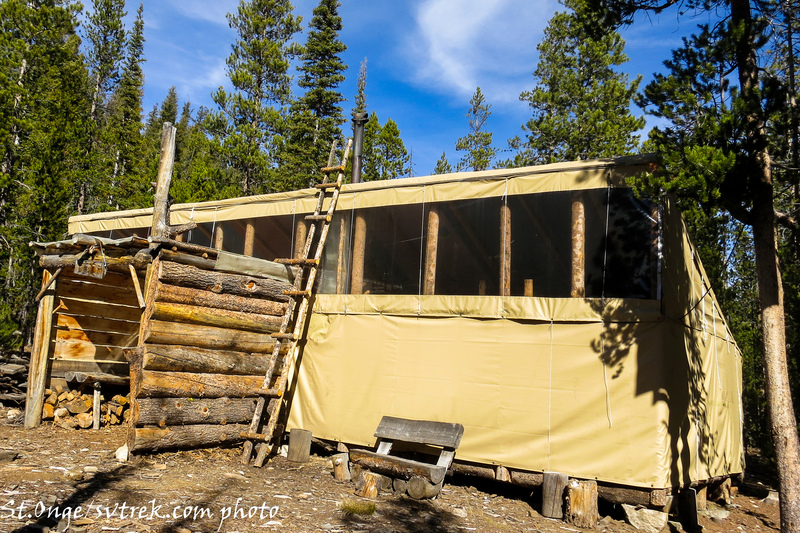 Ahhh, the new hut at Fishhook is closing in on completion. 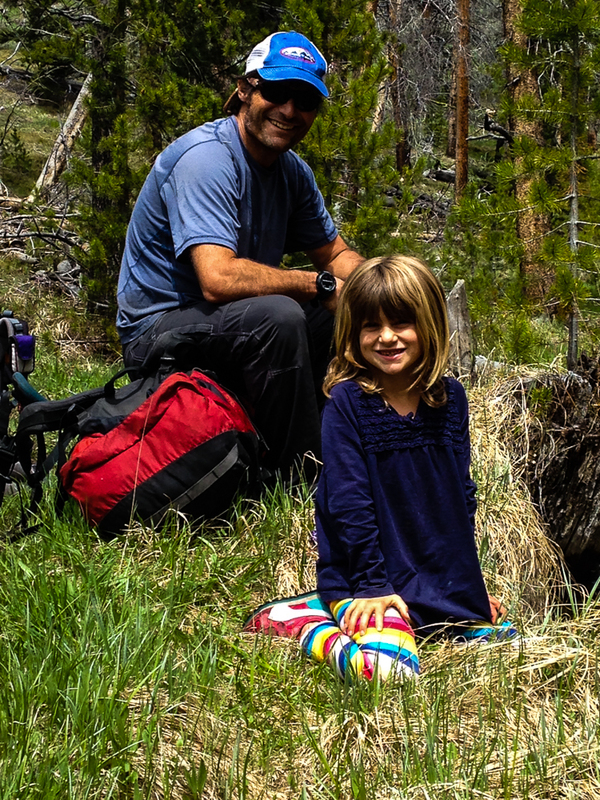 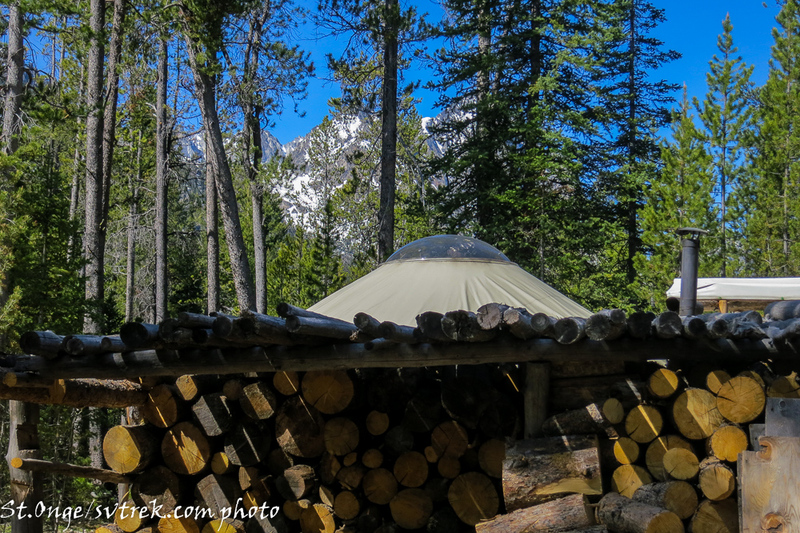 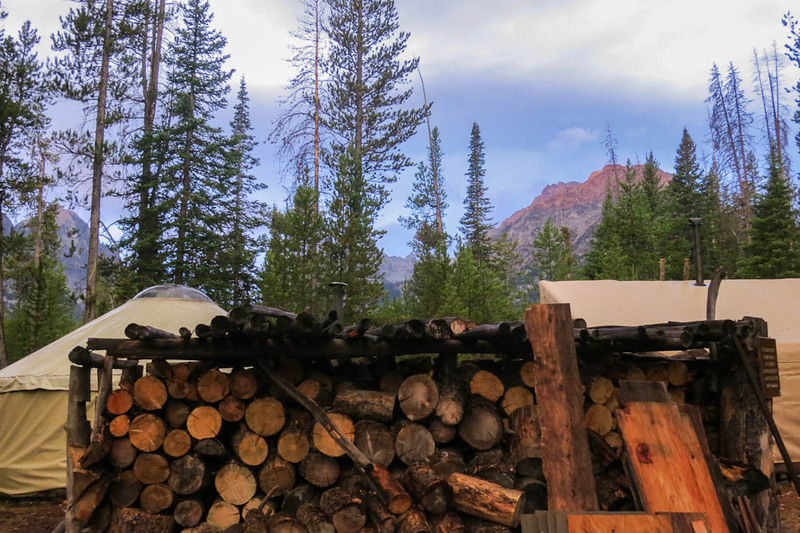 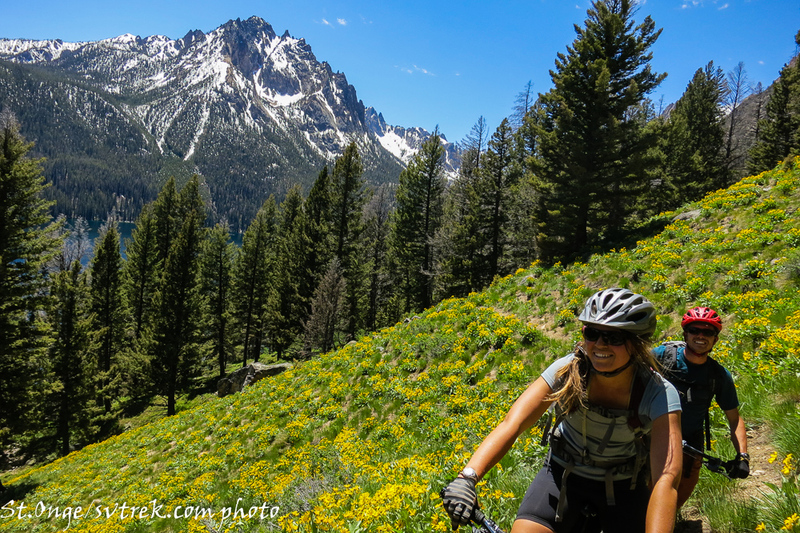 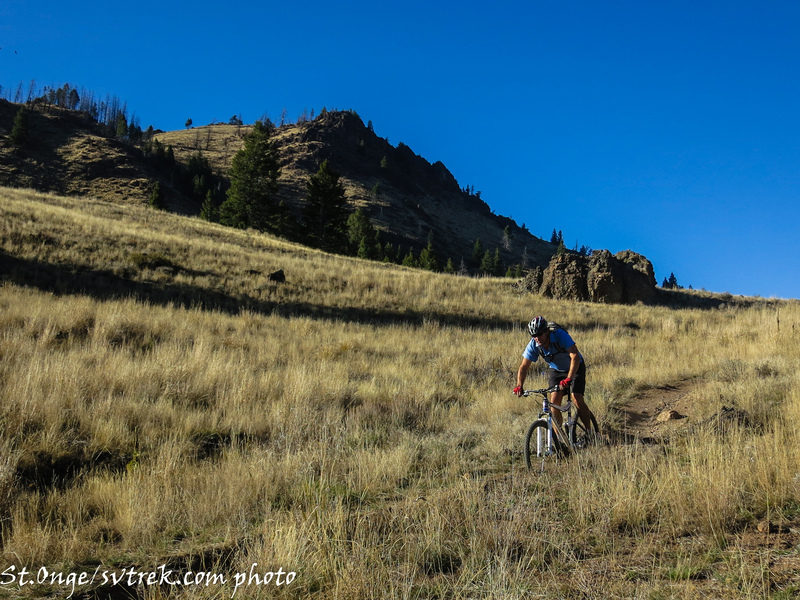 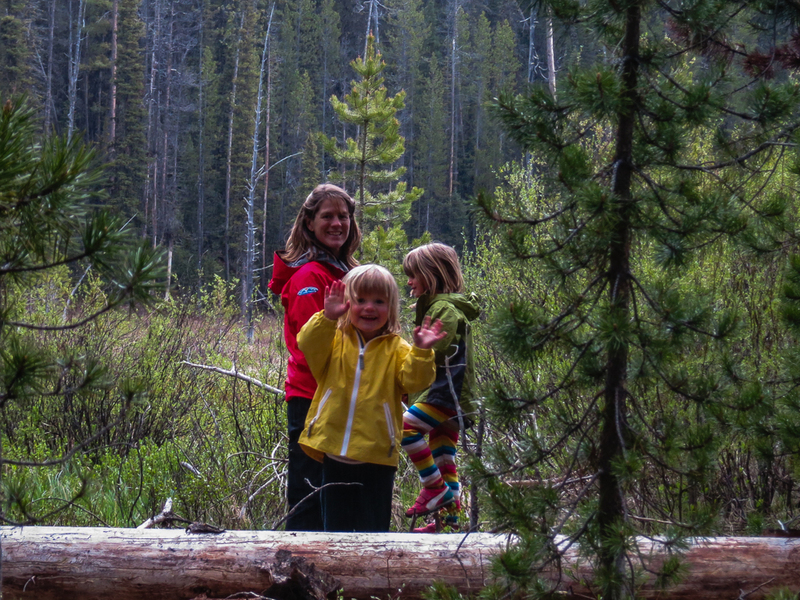 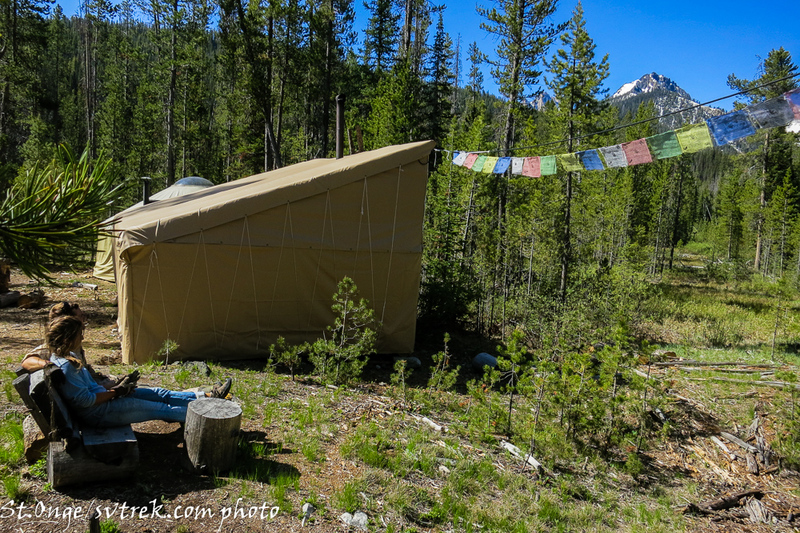 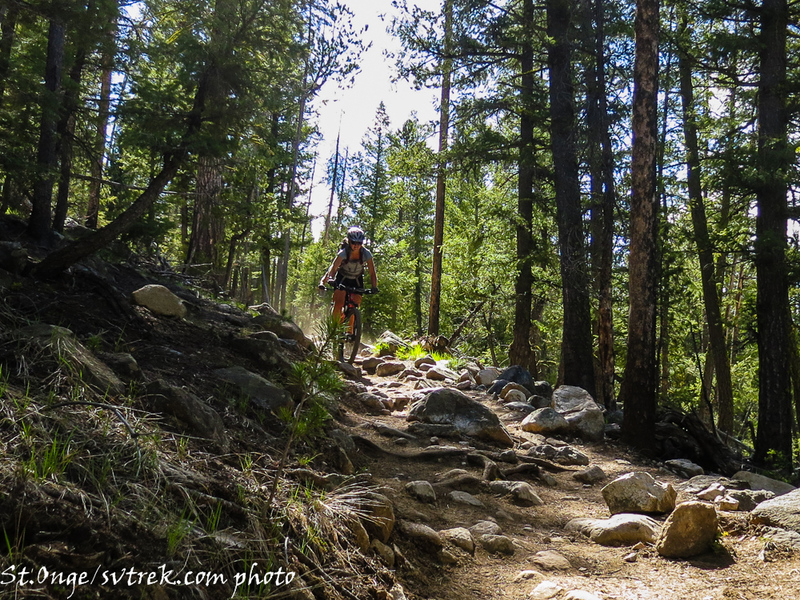 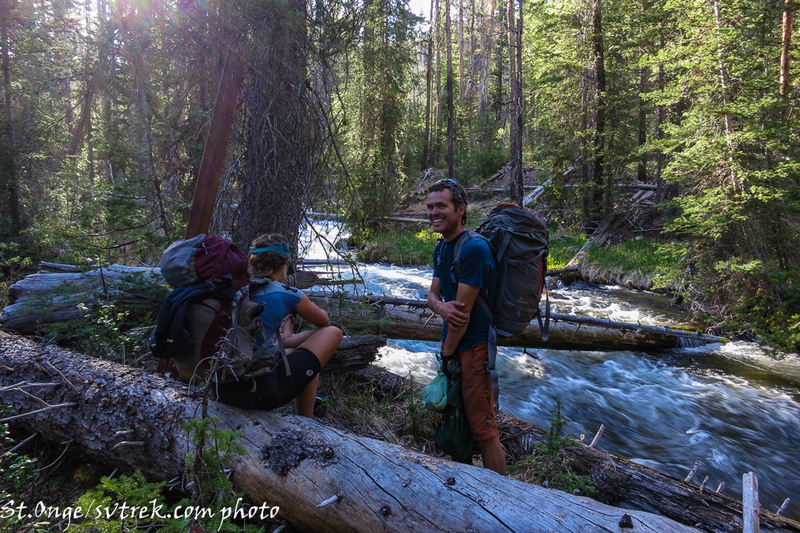 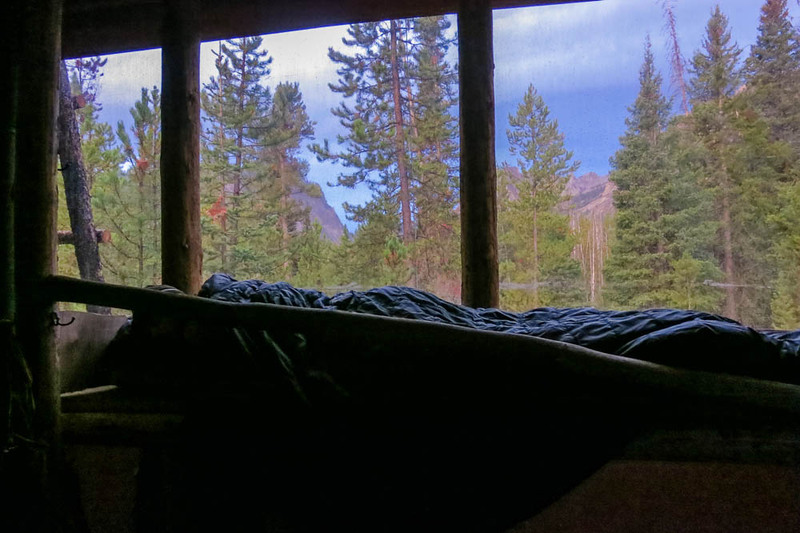 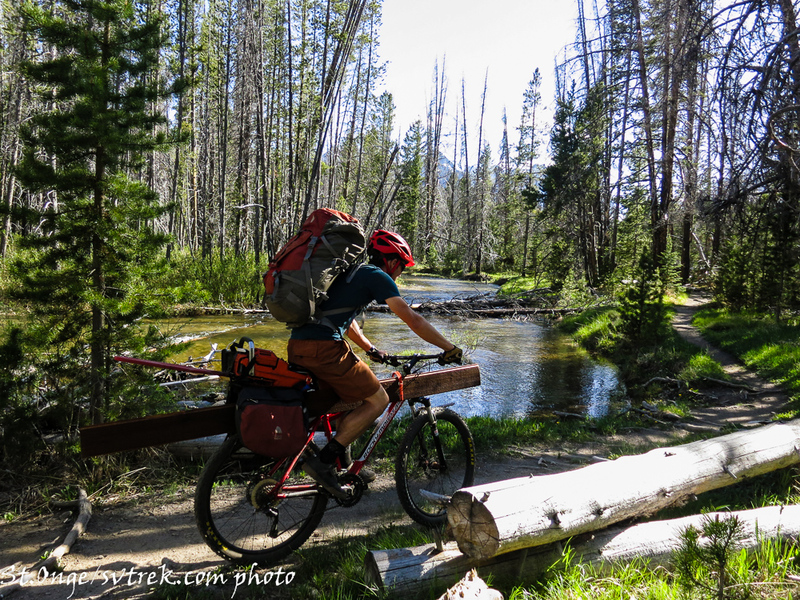 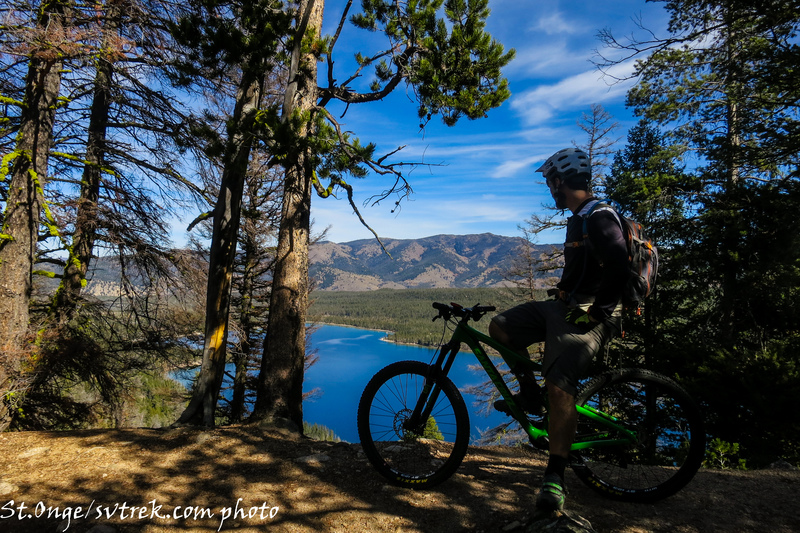 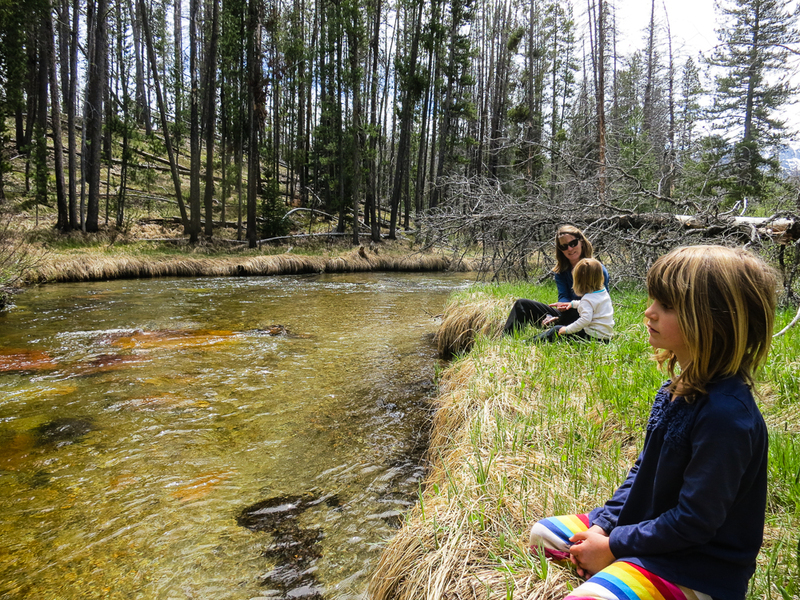 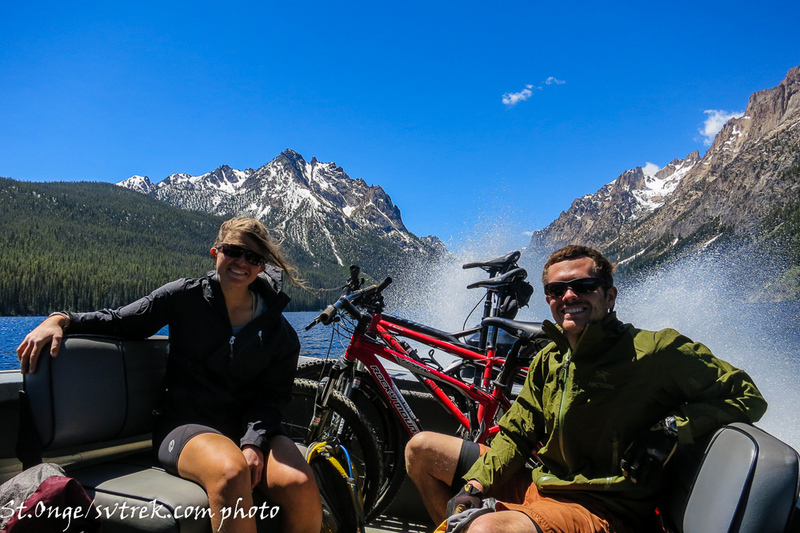 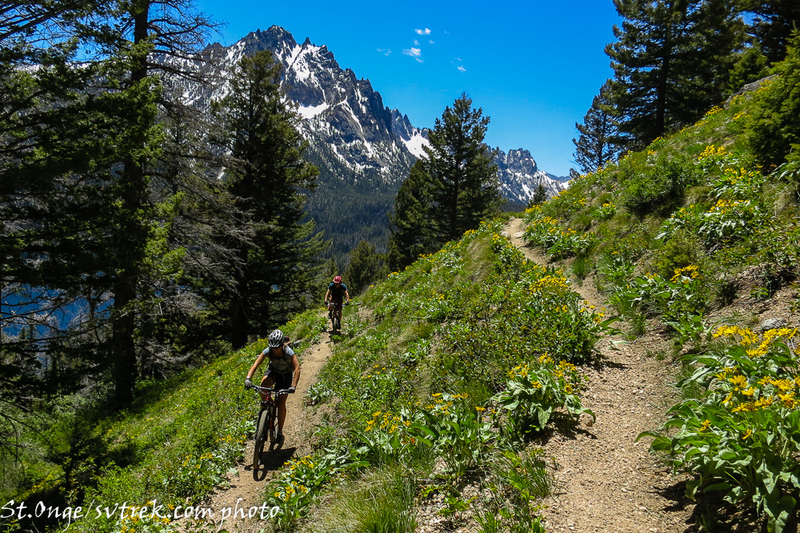 We are just returning from a few days in the Sawtooth, dodging thunder and lightning storms while working to complete the latest addition to backcountry lodging deep in the beautiful mountains of Central Idaho. 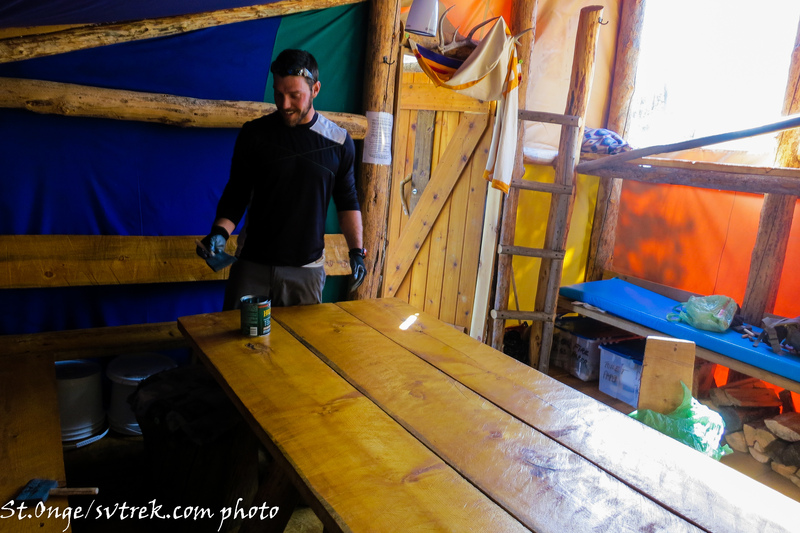 Every piece of wood in the new hut (except the door) came from within a 100 yards of the site. 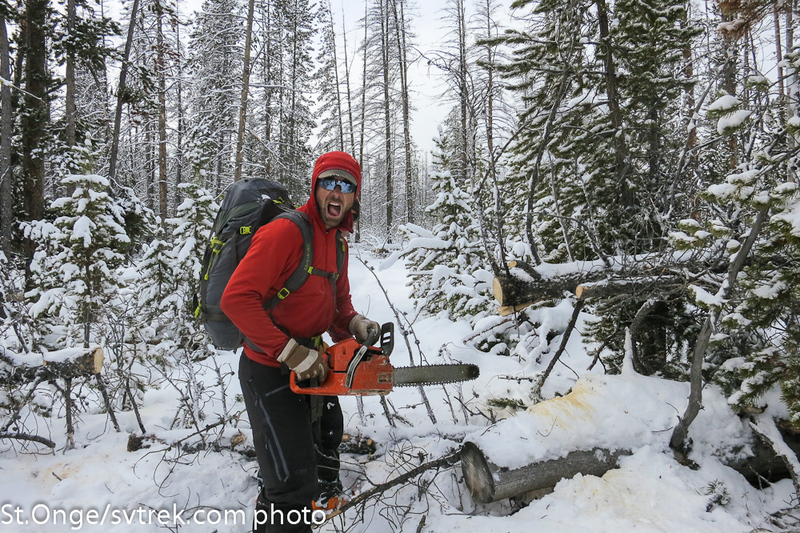 Chainsaw carpentry at work. 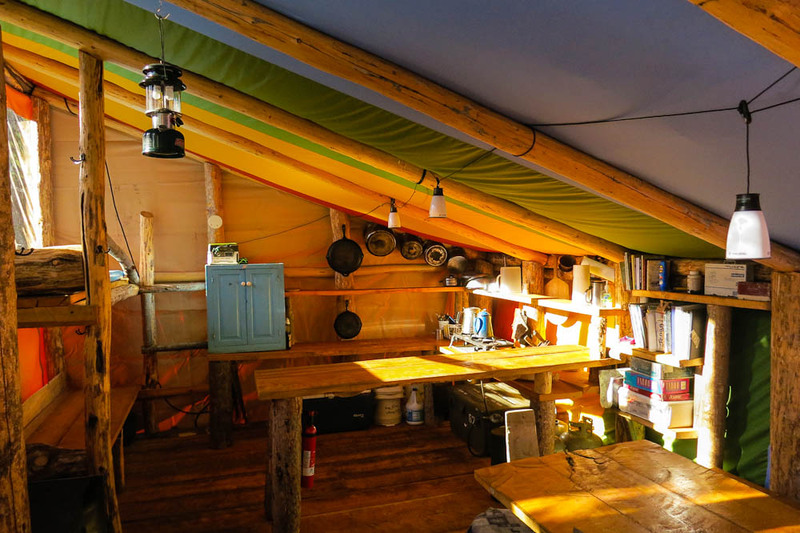 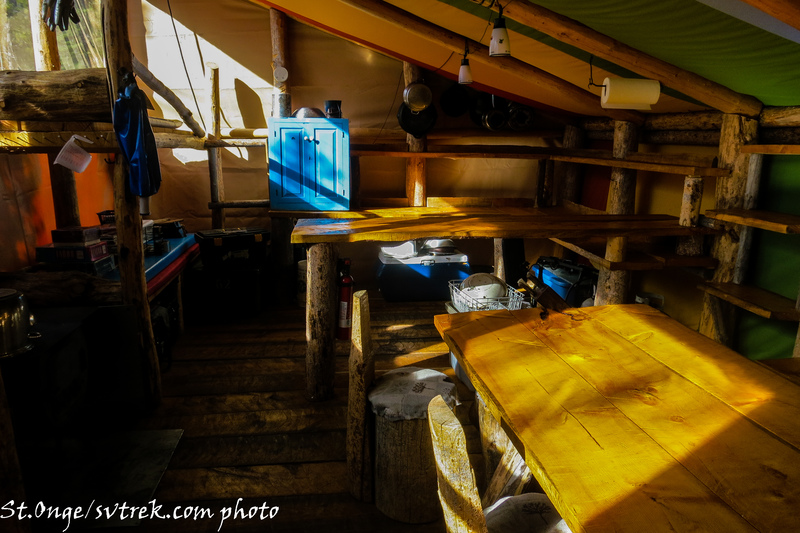 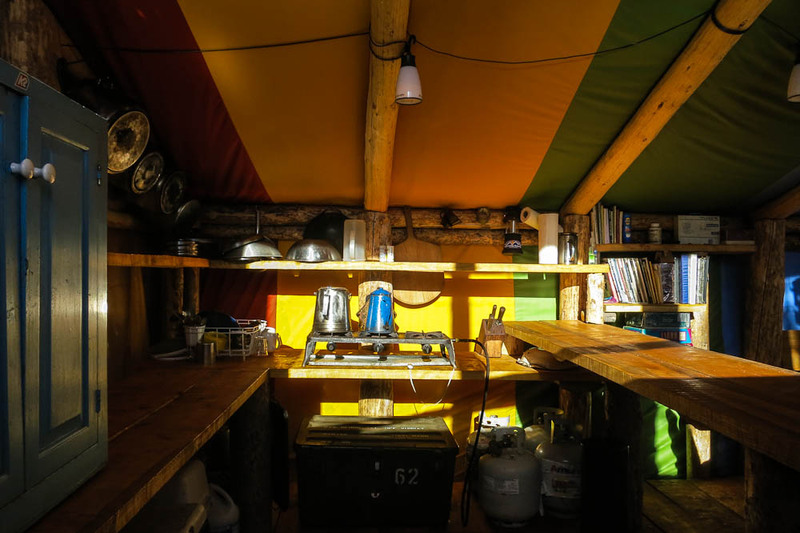 The new hut is a wall tent design, similar to the Bench Hut but 1/2 the size. 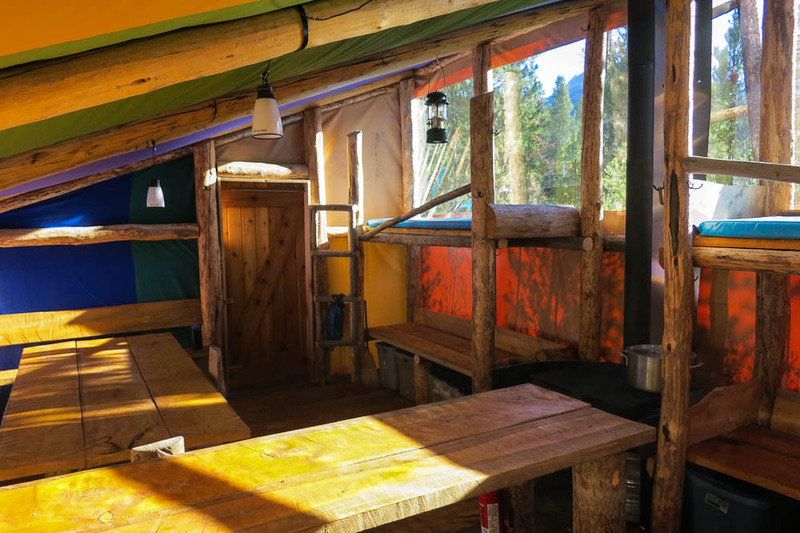 This hut creates a spacious but cozy layout for gathering a large group to cook, eat and enjoy the views from the 20′ long window gazing up at the highest peaks in the Sawtooth. 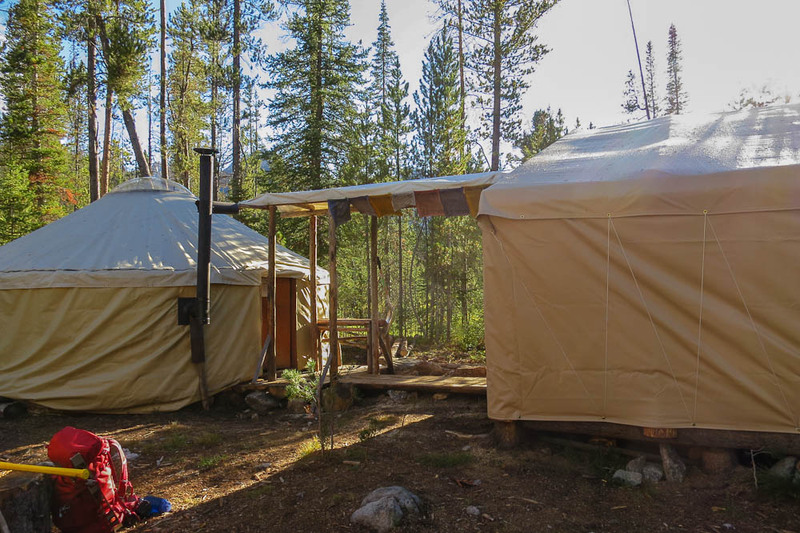 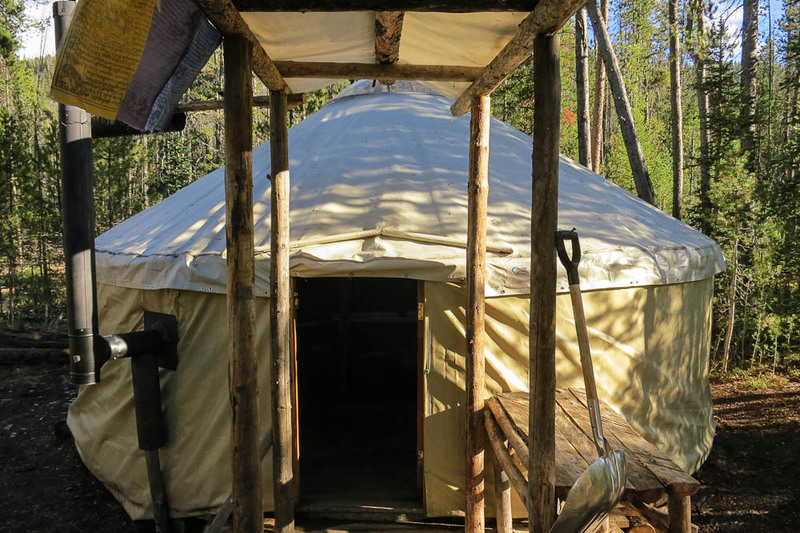 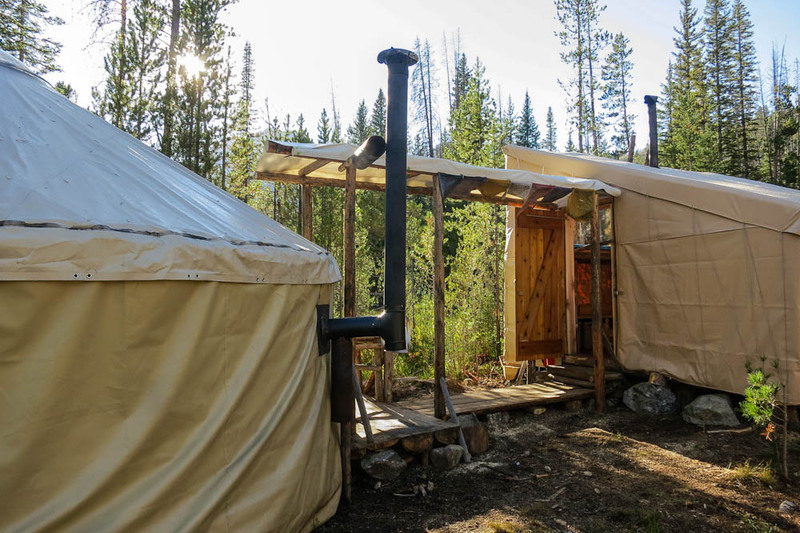 We kept the old yurt, changing the orientation, giving it some much needed love and turning it into a cozy sleeping hut. 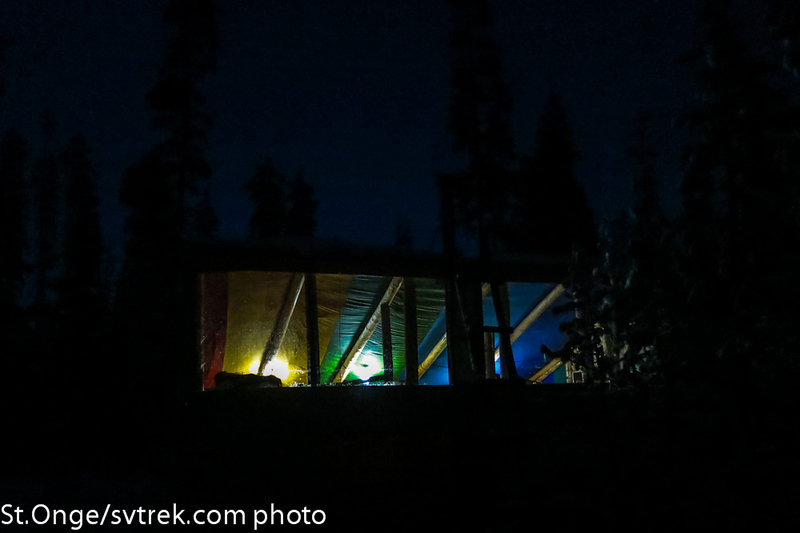 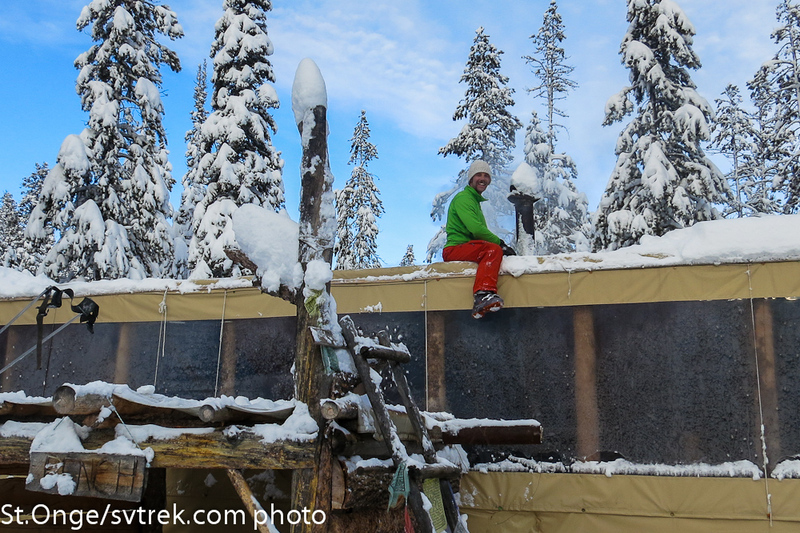 We look forward to many a stoked skier gliding into these huts in the coming season!